Dubna: JINR, 2018. 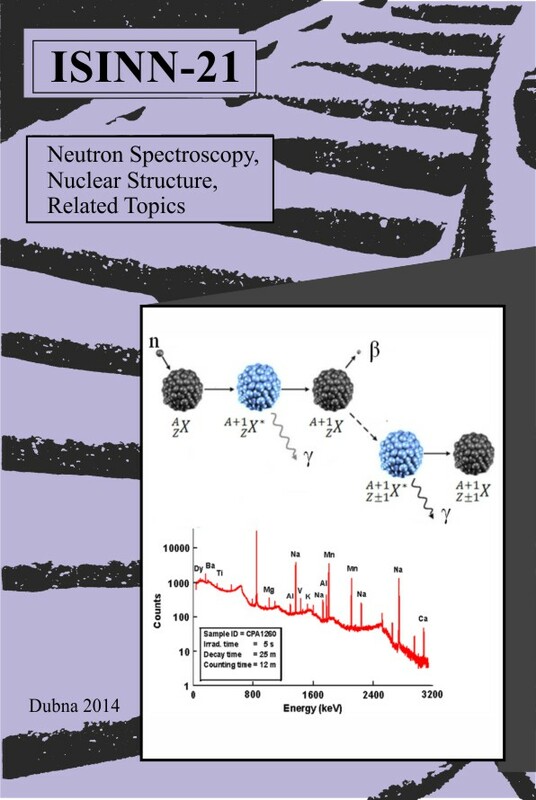 — 322 p.
This collection of papers reflects the present state of neutron-aided investigations of the proper-ties of the nucleus, including fundamental symmetries, properties of the neutron itself, neu-tron-excited reactions, and the parameters of the nucleus that determine the reaction cross section, as well as the latest theoretical development of all these problems. The works on experimental investigations in the physics of fission by neutrons of various energies are presented in great detail. The current state of experiments on the physics of ultracold neutrons and facilities to obtain them is described at length. The status achieved by now of the newest (from the viewpoint of technique) experiments and environment studies is covered as well. Dubna: JINR, 2018. — 424 p.
Dubna: JINR, 2018. — 93 p.
Dubna: JINR, 2018. — 62 p.
Дубна, 30–31 мая 2018 г.
Дубна: ОИЯИ, 2018. — 181 с. 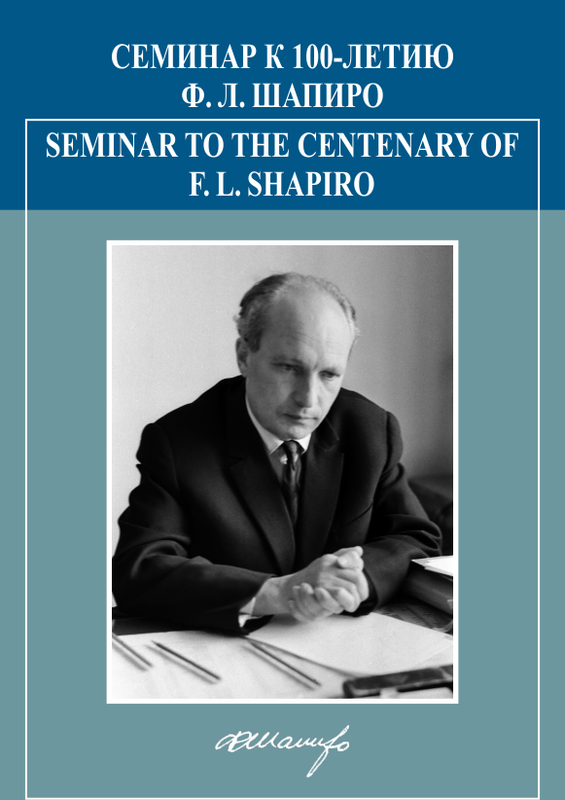 In this book of proceedings the reports of the Seminar dedicated to the centenary of the birth of the outstanding physicist Fedor L. Shapiro (1915–1973), MSU Professor, Corresponding Member of the USSR Academy of Sciences, laureate of the USSR State Prize, are presented. 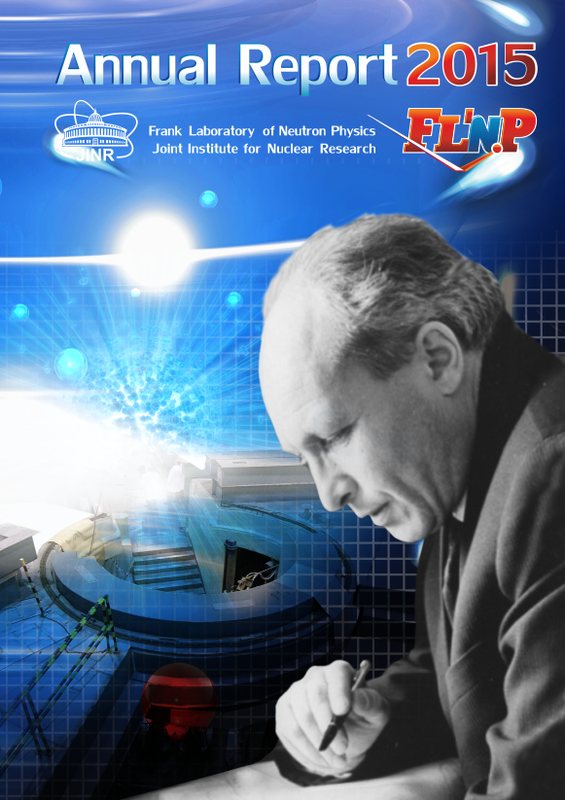 In the reports the investigations are described, which were carried out under F. L. Shapiro’s leadership on Mossbauer effect, with polarized neutrons, ultracold neutrons, and on neutron scattering in condensed matter; the role of Fedor L. Shapiro in creation and development of reactors at the Laboratory of Neutron Physics, JINR, is indicated. Dubna: JINR, 2017. — 76 p., photo. Dubna: JINR, 2017. – 442 p.
Dubna: JINR, 2017. — 98 p.
Dubna: JINR, 2017. — 99 p.
The present book is a continuation of a paper review series on the formation of new particles in Earth’s atmosphere. Here, selected aspects of the contribution of electric charges to new particle formation are discussed. Galactic cosmic rays, radon emissions from the ground, lightning in association with thunderstorms, and corona discharges are primary sources for ionization of atmospheric gases. Ions can intensify new particle formation by ion-induced nucleation and charge-induced enhancement of the condensation growth of nucleated clusters. The synopsis presented here includes phenomenological findings on the occurrence of ionization and ion-mediated aerosol formation in the planetary boundary layer and the free troposphere. 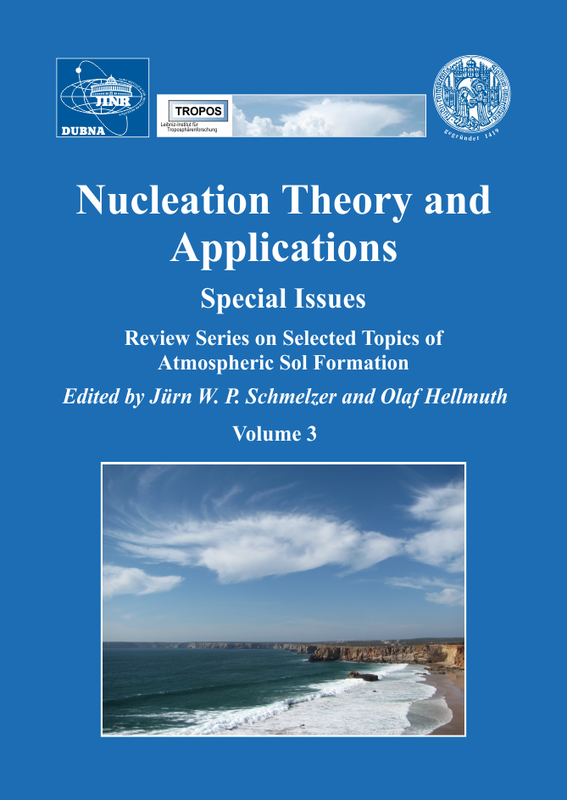 Furthermore, state-of-the-art approaches to the mechanistic description of ion-mediated aerosol formation are reviewed, which comprise the classical nucleation theory and a second-generation ion-mediated aerosol formation model. The review also includes the research on the predictive power of the state-of-the-art parame­te­ri­za­tion schemes employed in global scale modelling studies. A special chapter is focused on possible extraterrestrial impacts on Earth’s atmosphere, especially the scale, on which such impacts can be expected. Finally, laboratory results from the CLOUD experiment at CERN are evaluated. Ed. by J. W. P. Schmelzer and O. Hellmuth. Dubna: JINR, 2017. — VIII, 513 p.
The present book is a continuation of a paper review series on the formation of new particles in Earth’s atmosphere. Terrestrial ecosystems largely contribute to the production of biogenic precursor gases for new particle formation. By this reason, here selected aspects of the contribution of organic compounds to new particle formation will be discussed. The synopsis presented here addresses the role of organics in the nucleation process, and their contribution to subsequent condensation growth of particles and to the formation of bulk aerosol mass. 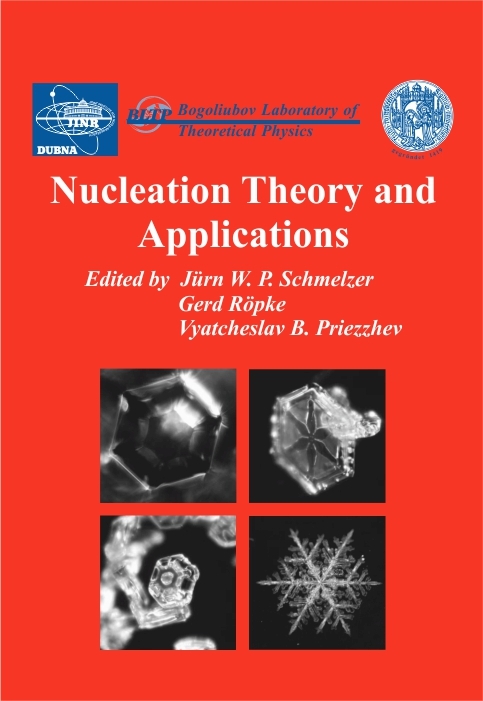 The mechanistic description of these processes comprises different approaches: classical nucleation theory, theory of vapour condensation, chemical reaction kinetics, and semi-empirical parameterisation approaches. A key aspect of the present analysis is the chemical perspective to aerosol formation, which concerns, among others, the identification of the molecular structure of nucleating compounds, their formation pathways from precursor vapours, and their subsequent chemical reaction pathways to form new products. Considered are also computational studies, which demonstrate the predictive power of quantum chemistry methods to elucidate the energetically most favoured molecular structures and formation pathways of multinary clusters in their initial stage. Dubna: JINR, 2016. — VI, 456 p.
The formation of new particles of nanometric sizes in the Earth’s atmosphere is a hot spot of atmospheric aerosol science. New particles are considered to play a key role as cloud condensation nuclei, in this way affecting cloud formation, which in turn is one of the most uncertain parts of numerical weather prediction and climate modelling. Apart from this, new particles may also cause health effects. 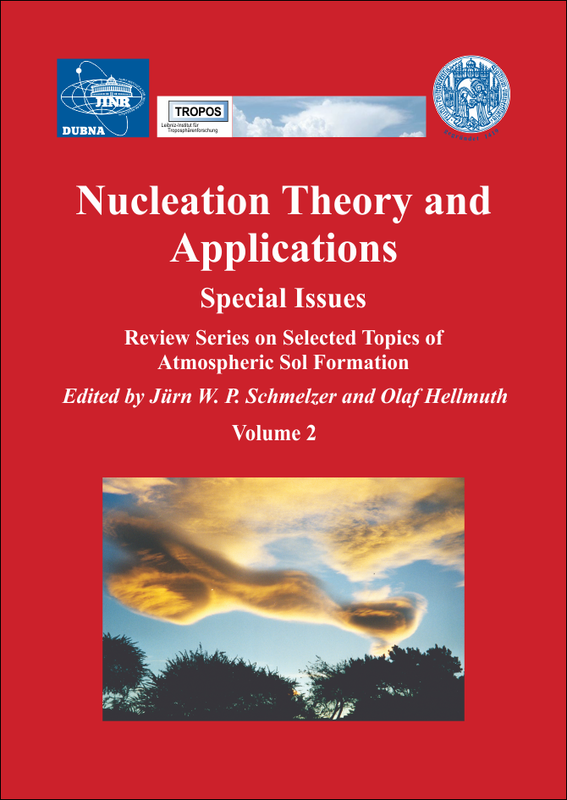 The present book contains a review of selected papers on the phenomenology and genesis of new particle formation in the planetary boundary layer, i.e., those part of the Earth’s atmosphere which extends from the ground to the base of convective clouds. The hydrothermodynamic and physico-chemical conditions in this layer are mainly controlled by the surface energy balance and natural and anthropogenic emissions from the ground and the canopy layer. 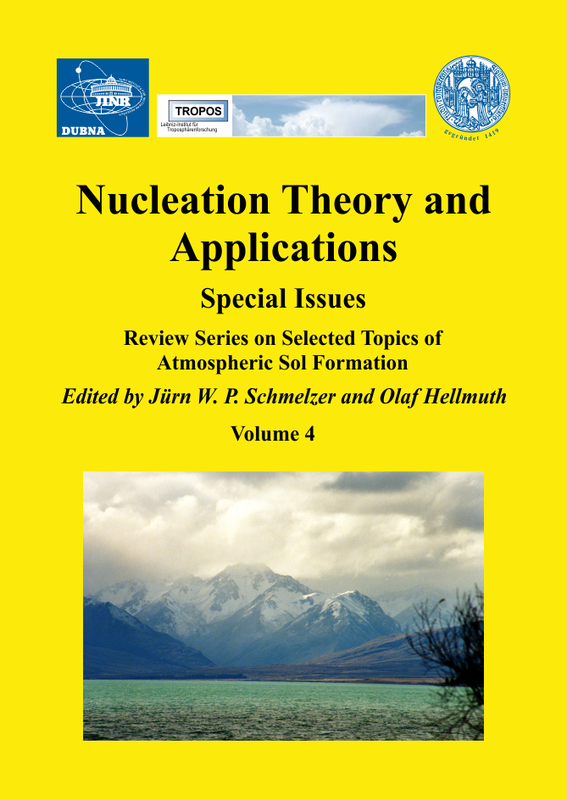 The review includes field and laboratory nucleation studies, empirical and semi-empirical approaches to parameterize the formation rate of new particles, as well as the description of the initial steps of new particle formation within the framework of the classical theory of binary and ternary homogeneous nucleation of water, sulphuric acid, and ammonia. Dubna: JINR, 2016. — VI, 495 p.
Dubna: JINR, 2016. — 94 p.
This collection of papers reflects the present state of neutron-aided investigations of the properties of the nucleus, including fundamental symmetries, properties of the neutron itself, neutron-excited reactions, and the parameters of the nucleus that determine the reaction cross section, as well as the latest theoretical development of all these problems. The works on experimental investigations in the physics of fission by neutrons of various energies are presented in great detail. The current state of experiments on the physics of ultracold neutrons and facilities to obtain them is described at length. The status achieved by now of the newest (from the viewpoint of technique) experiments and environment studies is covered as well. Dubna: JINR, 2016. – 500 p.
Dubna: JINR, 2016. — 87 p.
В очередной сборник трудов объединенного семинара сотрудничества RDMS CMS вошли материалы заседаний семинара, на которых были представлены результаты, полученные в эксперименте CMS во время первого сеанса набора данных на LHC в 2010–2012 гг., в том числе открытие и изучение свойств бозона Хиггса, проверка предсказаний Стандартной модели и поиск новых явлений за ее пределами. Отдельная лекция посвящена обсуждению результатов поиска микроскопических черных дыр на LHC. Дубна: ОИЯИ, 2016. — Вып. 4. — 183 с.
Dubna: JINR, 2016. — 158 p.
Дубна, 9–11 ноября 2016 г.
Дубна: ОИЯИ, 2016. — 151 с. The 4th South Africa–JINR Symposium “Few to Many Body Systems: Models, Methods and Applications” was organized by the Bogoliubov Laboratory of Theoretical Physics of the Joint Institute for Nuclear Research in the period September 21–25, 2015. It was dedicated to the celebration of the 60th anniversary of the JINR and 10th anniversary of signing the Memorandum of Understanding between the Government of the Republic of South Africa and the Joint Institute for Nuclear Research. The Symposium discussed the scope, success and perspectives of experimental, theoretical and applied physics at the JINR and in South Africa institutions. Special attention was devoted to scientific facilities on both sides. The goal of the meeting was to present main results of the SA–JINR collaboration, to extend the scientific and technological cooperation among the JINR and South Africa institutions, and to attract young scientists from both sides to running joint research projects. The Symposium program covered new developments in the field of particle physics, nuclear physics, applied nuclear physics, condensed matter physics, bio-monitoring project and physics of underground laboratories. The Symposium initiated opportunities to establish new areas of scientific cooperation and to extend the existing cooperation among physicists from South Africa and the JINR. The financial support was provided by the Joint Institute for Nuclear Research and the National Research Foundation of South Africa. Dubna: JINR, 2016. — 266 p.;  p. photos. Dubna: JINR, 2016. — 307 p.
Dubna: JINR, 2016. — 96 p.
Dubna: JINR, 2016. — 33 p.
Dubna: JINR, 2016. 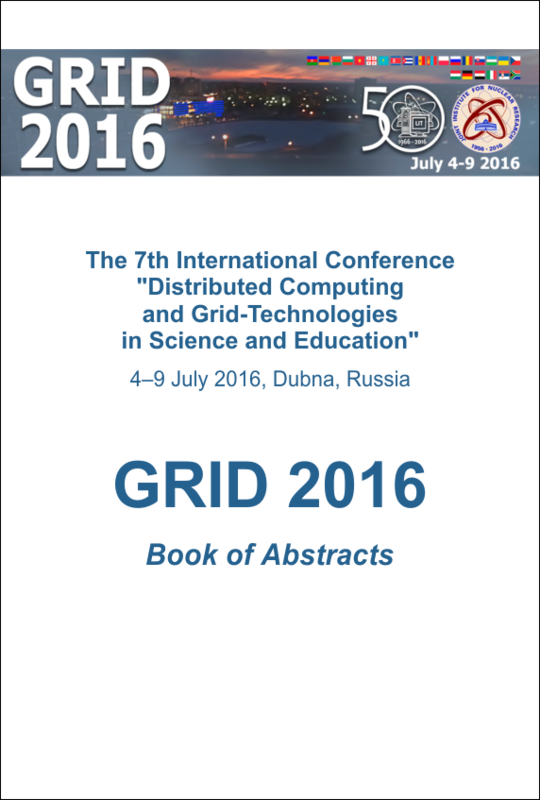 – 136 p.
The book contains abstracts of the reports submitted to the 7th International Conference “Distributed Computing and Grid-Technologies in Science and Education” (GRID 2016), which is held every two years by the JINR Laboratory of Information Technologies. 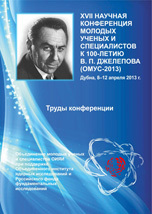 In 2016 the Conference is dedicated to the 60th anniversary of JINR and 50th anniversary of LCTA/LIT. The main purpose of the Conference is to discuss the current Grid operation and the future role of the Grid in Russia and worldwide as well as similar technologies for data-intensive computations. The submitted abstracts describe the development of the global grid-infrastructures and such thriving technologies of intensive data processing as distributed, heterogeneous, cloud computing, BigData, etc. Full texts of the reports approved by the GRID 2016 Advisory Committee will be published separately. Dubna: JINR, 2016. — 161 p.
Dubna: JINR, 2016. 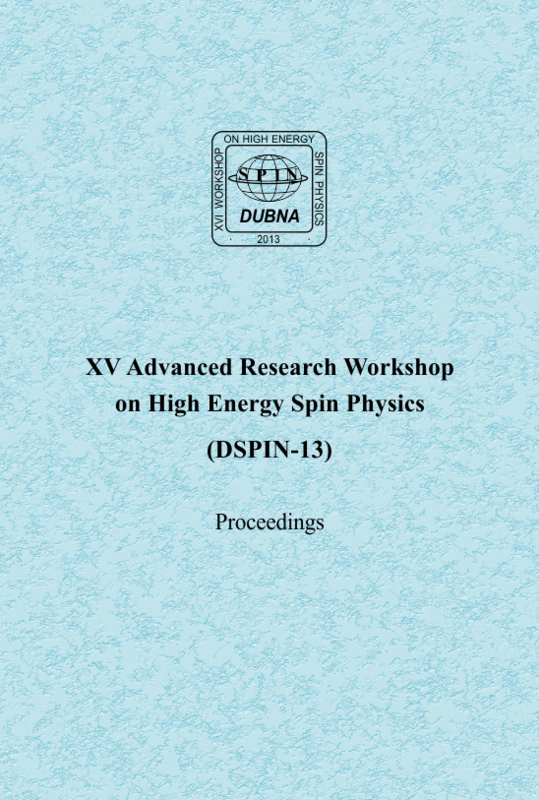 — 155 p.
The collection includes the abstracts submitted to the XVI Advanced Research Workshop on High Energy Spin Physics (DSPIN-15) (Dubna, September 8—, 2015) devoted to different theoretical, experimental, and technical aspects of this branch of physics. Dubna: JINR, 2015. – 35 p.
Минск, 22–25 апреля 2014 г.
Dubna: JINR, 2015. 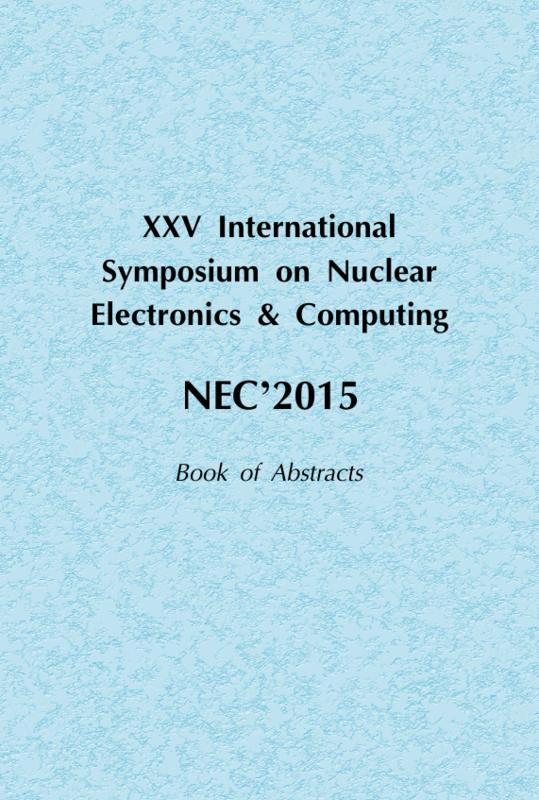 – 81 p.
The book contains the abstracts adopted for a presentation at the XXV International Symposium on Nuclear Electronics & Computing (NEC'2015), which will be held on 28 September – 2 October 2015 (Budva, Becici, Montenegro). 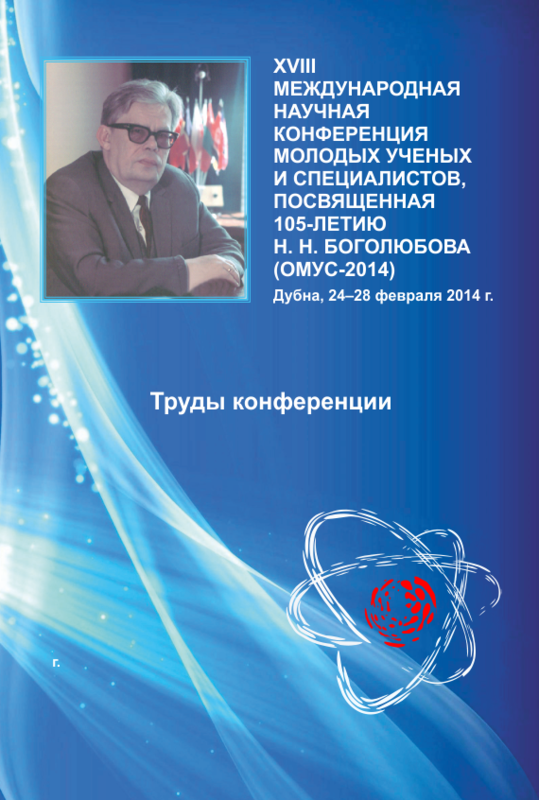 The Symposium is organized by JINR (Dubna) and CERN (Geneva). The Symposium is devoted to the problems of detector & nuclear electronics, triggering, data acquisition, control systems, distributed computing, GRID & cloud computing, computing for large accelerator facilities (LHC, FAIR, NICA, etc. ), computations with hybrid systems (CPU, GPU, coprocessors), workload management system in applied research and BigData, nonrelational databases and heterogeneous repositories, innovative IT education with the use of IT technologies. Dubna: JINR, 2015. 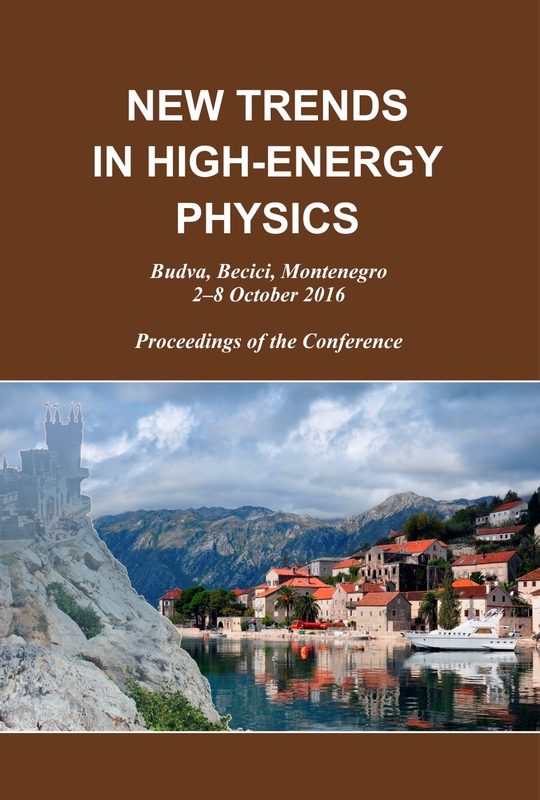 — 62 p.
The collection includes the abstracts submitted to the XVI Advanced Research Workshop on High Energy Spin Physics (DSPIN-15) (Dubna, September 8–12, 2015) devoted to different theoretical, experimental, and technical aspects of this branch of physics. Dubna: JINR, 2015. 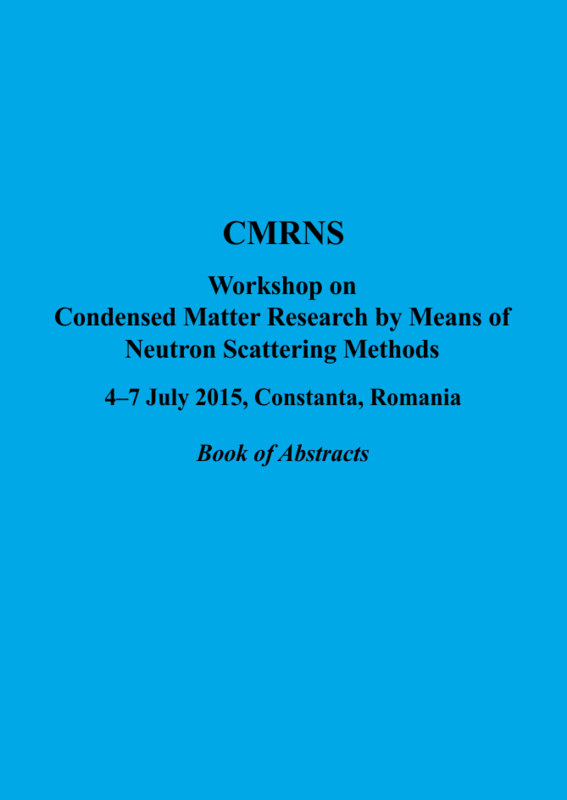 — 146 p.
CMRNS is a satellite workshop of the joint event of the 15th International Balkan Workshop on Applied Physics and Materials Science (2–4 July, 2015), IBWAP 2015. Dubna: JINR, 2015. — 66 p.
Dubna: JINR, 2015. — 97 p.
Dubna: JINR, 2015. — 84 p.
Dubna: JINR, 2015. — 91 p.
Dubna: JINR, 2015. 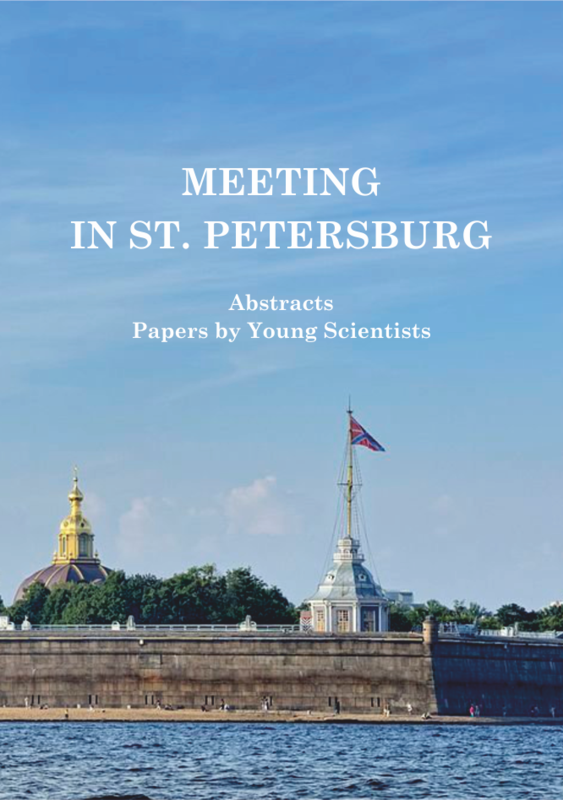 – 417 p.
The collection contains theses of the reports presented at the Meeting in St. Petersburg and short papers by young scientists submitted to the competition after N. W. Timofeeff-Ressovsky. 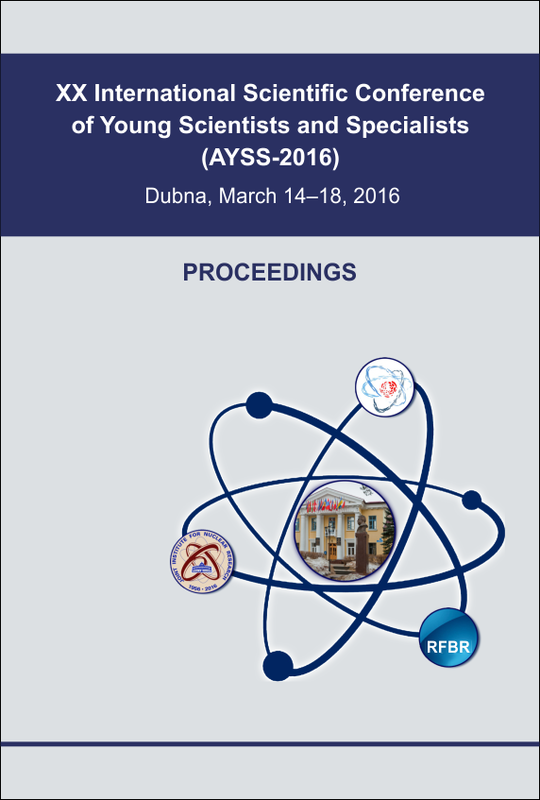 The theses and young scientists’ papers are published in the authors’ wording. Dubna: JINR, 2015. — 272 p., ill.
ОМУС-2014, Дубна, 24–28 февраля 2014 г.
Организация конференции осуществлена Объединением молодых ученых и специалистов ОИЯИ при поддержке Объединенного института ядерных исследований, Лаборатории теоретической физики им. Н. Н. Боголюбова ОИЯИ и Российского фонда фундаментальных исследований. В труды конференции включены исследования молодых ученых и специалистов, студентов и аспирантов ОИЯИ и дружественных учебных и научных организаций. Статьи представляют интерес для специалистов, работающих в области теоретической физики, физики элементарных частиц, экспериментальной ядерной физики, физики конденсированных сред, релятивистcкой физики, математического моделирования и вычислительной физики, информационных технологий, современных методов ускорения заряженных частиц и ускорительной техники, радиационных и радиобиологических исследований. Дубна: ОИЯИ, 2015. — 311 с.
Dubna: JINR, 2015. — 124 p.
Dubna: JINR, 2015. — 95 p.
Digital Libraries is a field of research and development aiming to promote the theory and practice of processing, dissemination, storage, search and analysis of various digital data. The purpose of the series of All- Russian Scientific Conferences on Digital Libraries (RCDL, http://rcdl.ru) is to stimulate consolidation of the Russian digital libraries community and encourage research in this field. 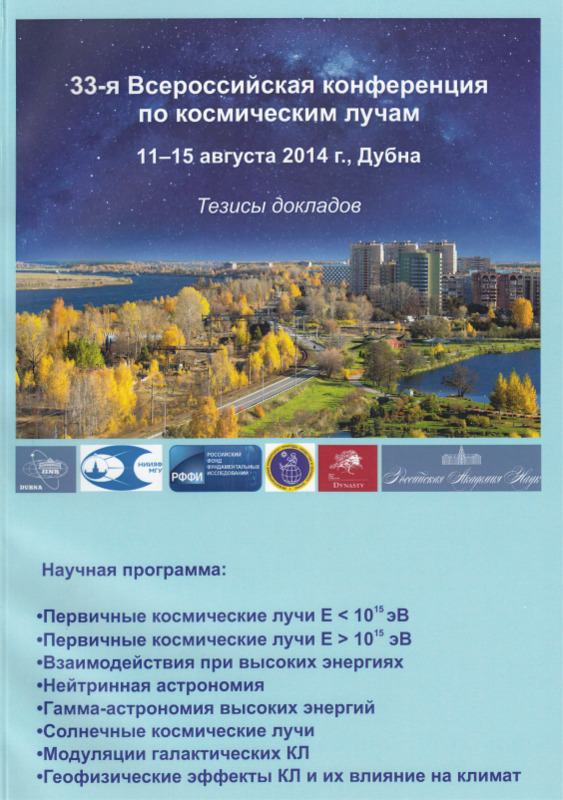 The All-Russian Scientific Conference RCDL-2014 is the sixteenth conference on this subject (1999, 2003 — St. Petersburg, 2000 — Protvino, 2001, 2009 — Petrozavodsk, 2002, 2008 — Dubna, 2004 — Pushchino, 2005, 2013 — Yaroslavl, 2006 — Suzdal, 2007, 2012 — Pereslavl-Zalessky, 2010 — Kazan, 2011 — Voronezh). 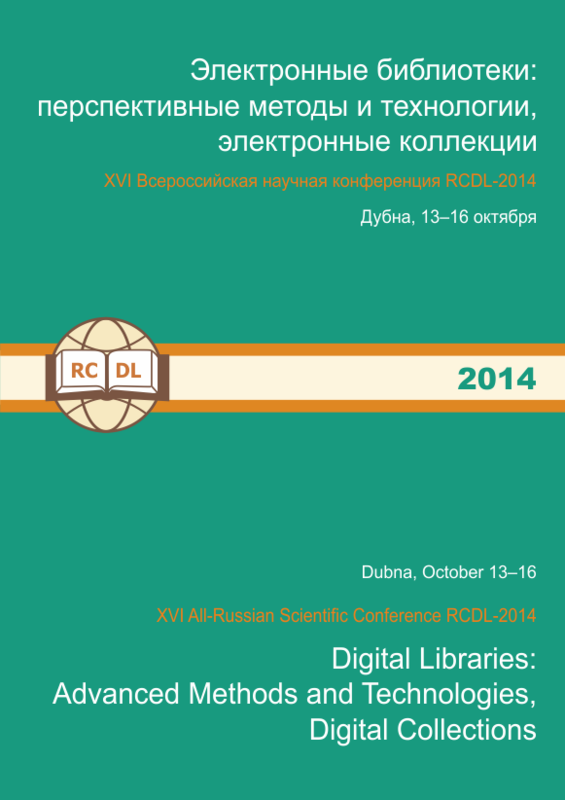 The RCDL-2014 Proceedings include the texts of reports, short papers and posters selected by the Programme Committee for RCDL-2014 (Dubna, October 13–16, 2014). The conference was organized with the support of the Russian Foundation for Basic Research (RFBR Grant No. 14-07-20386) and the Russian Academy of Sciences. Dubna: JINR, 2014. — 455 p.
The traditional International Workshop — «Relativistic Nuclear Physics: from Hundreds of MeV to TeV» was held from 16 to 20 June 2014 in Stara Lesna (Slovak Republic). The Workshop was organized by the Joint Institute for Nuclear Research and the Institute of Physics of the Slovak Academy of Sciences. New physical results obtained at the JINR Nuclotron, at the Large Hadron Collider at CERN, and in a number of other physical centers were presented at the Workshop. Prospects of a new accelerator centre NICA at JINR and the research programme were discussed for it. Dubna: JINR, 2014. — 170 p., photos. Dubna: JINR, 2014. — 141 p.
Dubna: JINR, 2014. 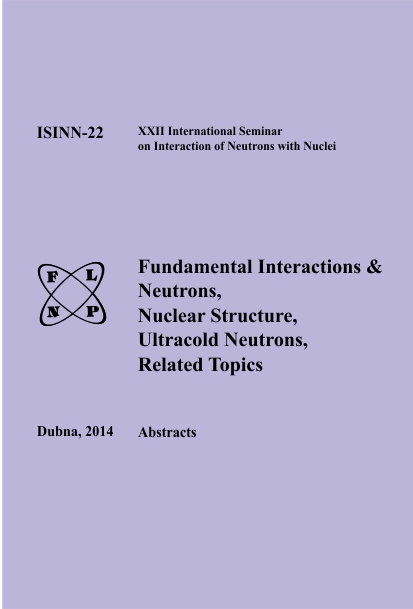 — 123 p.
The collection includes contributions presented at the XV Advanced Research Workshop on High Energy Spin Physics (DSPIN-13), Dubna, October 8–12, 2013, on different theoretical, experimental and technical aspects of this branch of physics. Dubna: JINR, 2014. — 423 p.
Dubna: JINR, 2014. 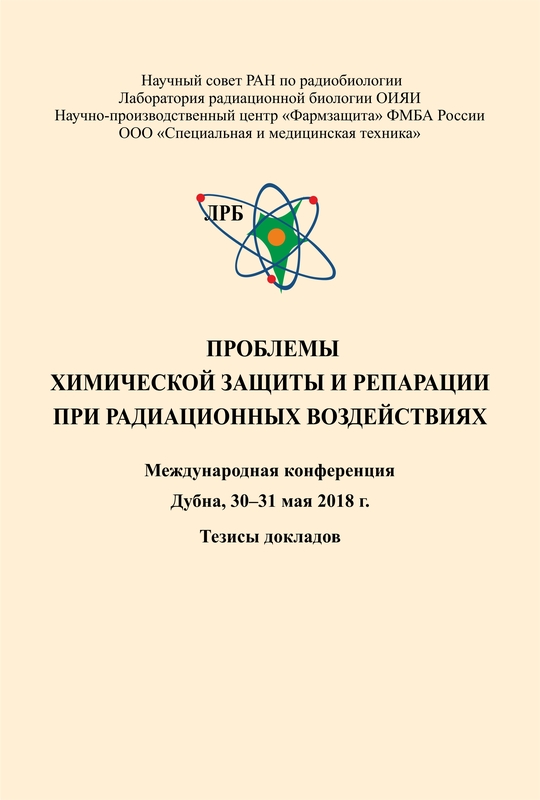 — 89 p.
The Workshop on Precision Physics and Fundamental Physical Constants is jointly organized by the Joint Institute for Nuclear Research and the Russian National CODATA Task Group on fundamental constants. The workshop is endorsed by the CODATA Task Group on fundamental constants and the Particle Data Group (PDG). 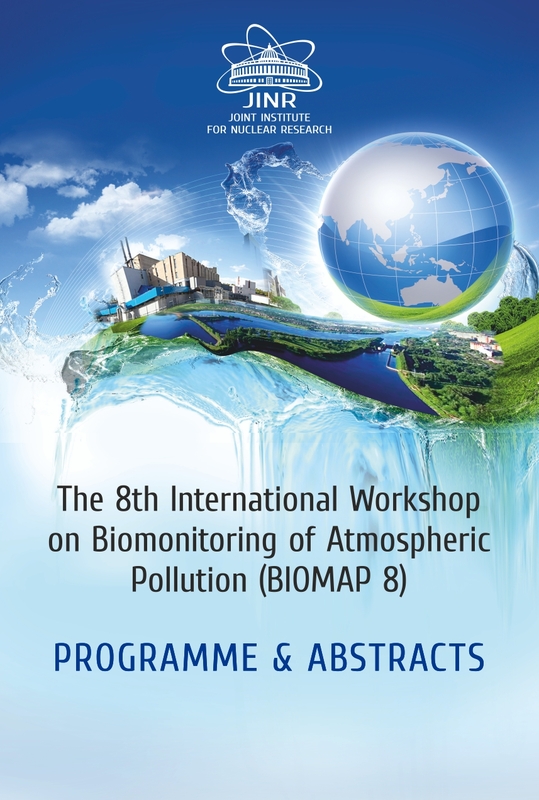 The workshop is supported in part by the Russian Foundation for Basic Research (grant No. 14-02-20361) and Dynasty foundation (No. ДП-КФ-026/14). Dubna: JINR, 2014. — 48 p.
Dubna: JINR, 2014. — 120 p.
The book contains abstracts of the reports submitted to the 6th International Conference «Distributed Computing and Grid-technologies in Science and Education» (GRID’2014). 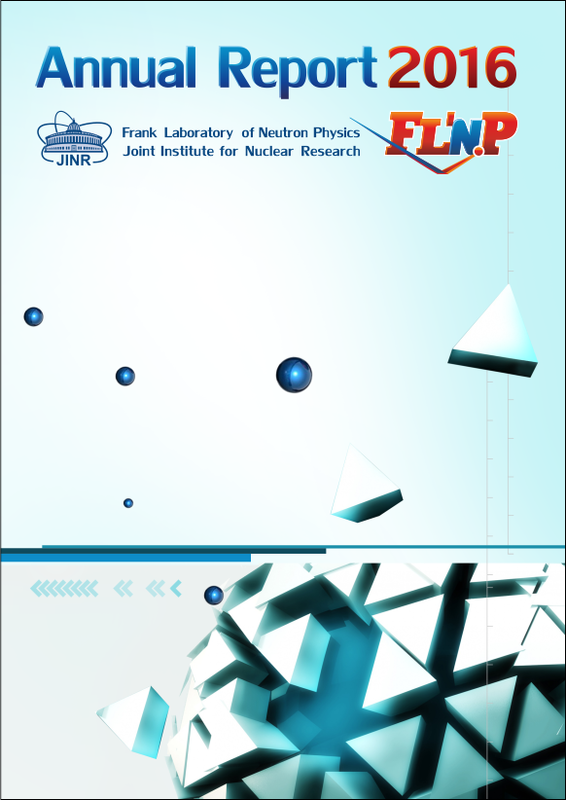 The Conference is held every two years by the JINR Laboratory of Information Technologies. The Conference is a unique one in Russia, it gives a platform for discussion of a wide range of issues related to using distributed and Grid-technologies in various fields of science, education, industry and business, as well as provides a way for getting into new contacts and broadening cooperation in the future. The submitted reports will analyze the development of the global Grid-infrastructures in Russia and worldwide. Quite a number of sections will be organized in the framework of the Conference devoted to such thriving technologies of intensive data processing as cloud computing, BigData, etc. Full texts of the reports approved by the GRID’2014 Advisory Committee will be published separately. Dubna: JINR, 2014. 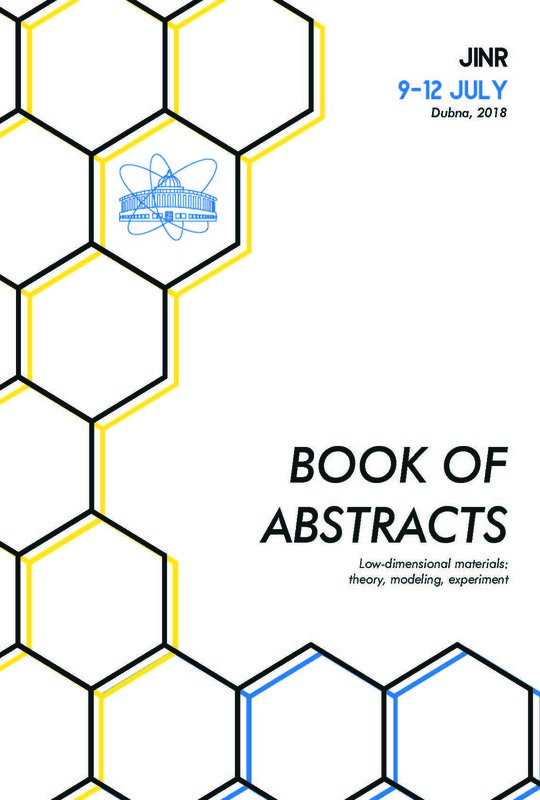 — 95 p.
The bооk contains abstracts of lectures and reports submitted to the International Conference for Young Scientists «Modern Problems of Applied Mathematics & Computer Science» (МРАМСS'2014). This Conference carries on a tradition of the previous International Conference for Young Scientists МРАМСS'2012, which was held in JINR in 2012. The Conference is intended for young scientists and specialists involved in development of advanced methods of applied mathematics in topical problems of science and technology. The invited lecturers at the Conference comprise well-known scientists from Russia and the CIS, professors of leading universities and scientific institutions, members оf academies of sciences. The Conference will provide the young participants with а wide range of opportunities for establishing personal contacts, for informal communications as well as discussions of scientific results with leading researchers. 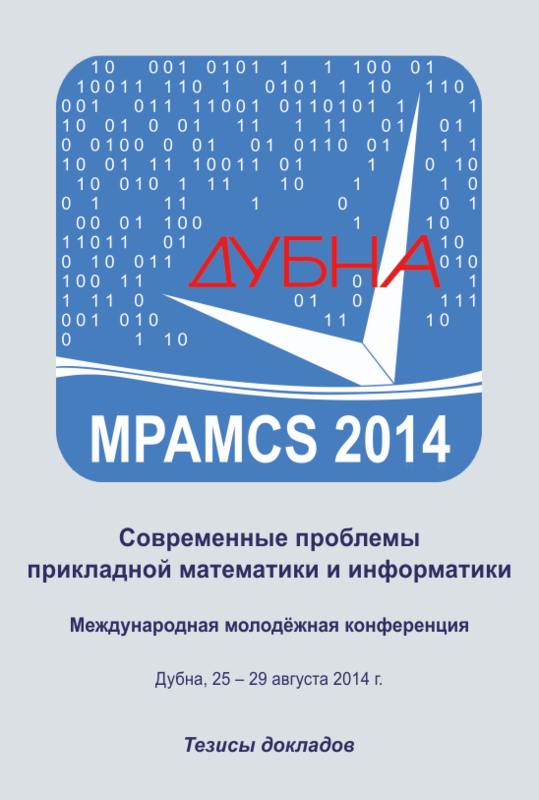 The Conference МРАМСS'2014 is supported bу the Russian Foundation for Basic Research. Dubna: JINR, 2014. - 173 р.
Dubna: JINR, 2014. — 265 p.
Dubna: JINR, 2014. — 341 p.
This publication presents the recommendations of the Working Group meeting on the study of cosmic dust (WGCD) of March 28, 2013. They are focused on the study of cosmic dust (CD) in different natural habitats on Earth, deal with the problem of collecting CD in the upper atmosphere and near-Earth space as well as with astronomical aspects of the problem. The importance of the study of CD was pointed out by V. I. Vernadsky under whose leadership in 1941 the Program on investigation of cosmic matter was formed. The relevance of this program was confirmed by E. A. Galimov in his report at a meeting of the Presidium of the Russian Academy of Sciences in March 12, 2003. At present, investigations of CD are conducted in various academic institutions. They bear features of irregular research. The aim of these proposals to the research program is to unite and coordinate the efforts of experts from different fields of knowledge. The program is comprehensive. It determines the directions and methods of studying CD. Particular attention is paid to the method of extraction of cosmogenic component from the collected dust samples. Dubna: JINR, 2014. — 87 p., il. 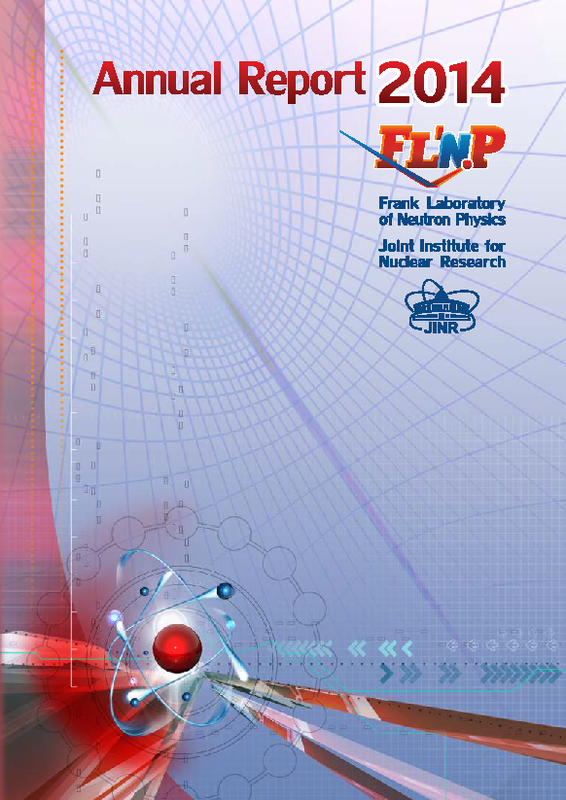 The collection of articles is devoted to the longstanding collaboration between physicists of the Joint Institute for Nuclear Research (JINR) and Institut national de physique nucleaire et de physique des particules (IN2P3) in France. The collaboration was officially established in 1972 when the Protocol of Agreement for Colla­bo­ra­tion was signed. Different aspects of collaboration are presented in the articles. The reader can find there not only interesting scientific results obtained due to the mutual efforts, but also memories about establishing and evolution of joint studies as well as personal impressions of collaboration members about common work and human relations. A part of the feature was presented at the Anniversary Meeting which took place in Dubna in January 2013. Dubna: JINR, 2013. — 106 p., ill. 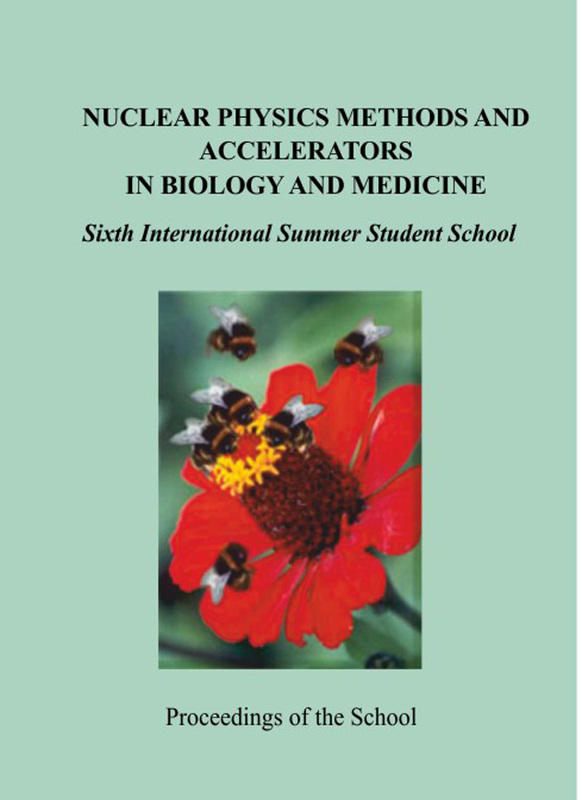 The collection includes the lecture abstracts and the students’ reports presented at the Sixth International Summer Student School on Nuclear Physics Methods and Accelerators in Biology and Medicine held in Dubna, Moscow Region, Russia, July 2–12, 2011. Dubna: JINR, 2013. — 107 p.
Dubna: JINR, 2013. — 91 p.
This collection of papers reflects the present state of neutron-aided investigations of the properties of the nucleus, including fundamental symmetries, properties of the neutron itself, neutron-excited reactions, and the parameters of the nucleus that determine the reaction cross section, as well as the latest theoretical development of all these problems. The works on experimental investigations in the physics of fission by neutrons of various energies are presented in great detail. The present state of experiments on the physics of ultracold neutrons and facilities to obtain them is described at length. The status achieved by now of the newest (from the viewpoint of technique) experiments and environment studies is covered as well. Dubna: JINR, 2013. 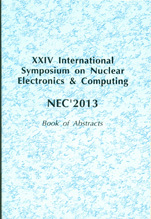 — 314 p.
The book contains the abstracts adopted for a presentation at the XXIV International Symposium on Nuclear Electronics & Computing (NEC'2013), which will be held on 9–16 September 2013 (Varna, Bulgaria). The Symposium is organized by the Joint Institute for Nuclear Research (Dubna), European Organization for Nuclear Research (CERN) (Geneva) and the Institute for Nuclear Research and Nuclear Energy of the Bulgarian Academy of Sciences (Sofia). The Symposium is devoted to the problems of detector & nuclear electronics, computer applications for measurement, automation and control in scientific research, triggering and data acquisition, computing & information systems, computer networks for scientific research and GRID computing. Dubna: JINR, 2013. — 48 p.
The book includes the abstracts of reports submitted to the International Conference «Mathematical Modeling and Computational Physics - 2013» (MMCP'2013). Full texts of the reports, refereed by the Conference Program Committee members, will be published separately. Dubna: JINR, 2013. - 204 p.
Dubna: JINR, 2013. — 113 p.
Dubna: JINR, 2013. — 308 p.
From 17 to 23 June 2012 in Stara Lesna (Slovak Republic) there was held the traditional International Workshop «Relativistic Nuclear Physics: from Hundreds of MeV to TeV». The Workshop was organized by the Joint Institute for Nuclear Research, the Institute of Physics of the Slovak Academy of Sciences, and the University of name Safarik (Kosice, Slovak Republic). At the Workshop there were presented new physical results obtained at the JINR Nuclotron, at the Large Hadron Collider at CERN, and in a number of other physical centres. There were discussed prospects of a new accelerator centre NICA at JINR and the research programme on it. Dubna: JINR, 2013. — 161 p., photo. Dubna: JINR, 2013. - 303 с. 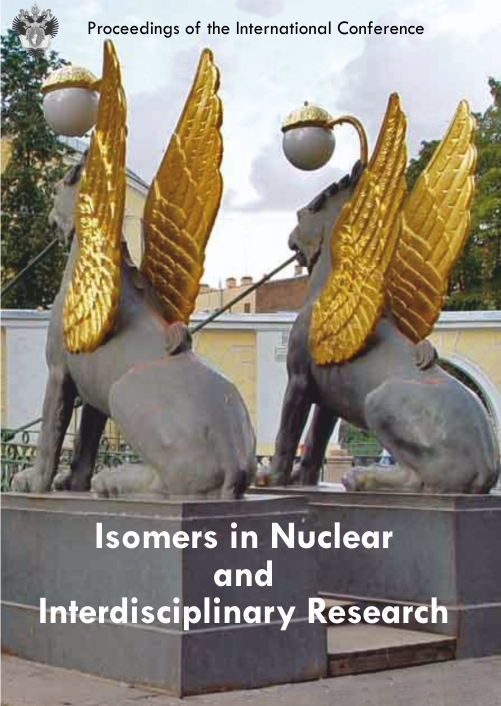 The International Conference «Isomers in Nuclear and Interdisciplinary Research» was held at St. Petersburg University, Peterhof, Russia from July 4 to 10, 2011. 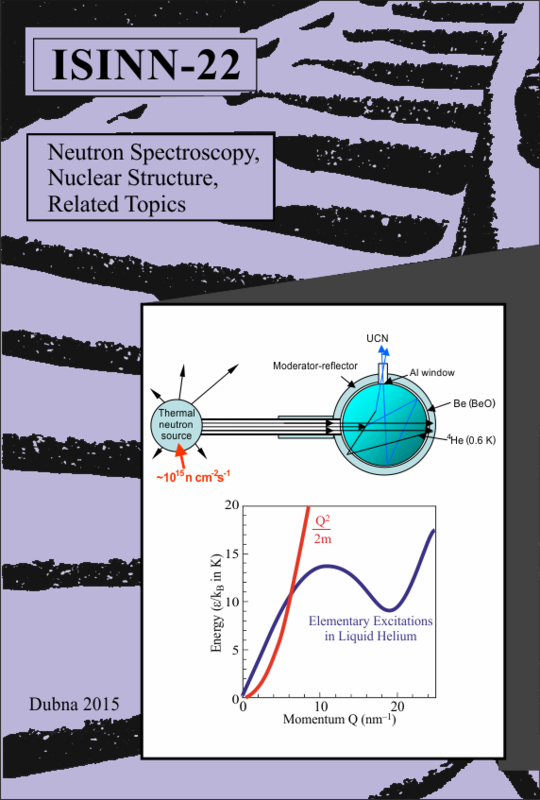 The meeting has been focused on research results that are related to a new manifestation of special nuclear states — isomers, as well as to their behavior within a variety of surroundings, for instance, within the laser, or the astrophysical plasma, or in the presence of deep ionization of the atomic shells created at ion sources and traps. The topics may be promising both for development of the modern science knowledge and for progress in applications. The Proceedings therefore collect papers into four sections reflecting different subjects from nuclear structure and nuclear reactions to the processes at low energy including the studies at a border between different fields. The subjects are different, yet interwoven in essence. Dubna: JINR, 2012. — 197 p.; 12 p. photos. 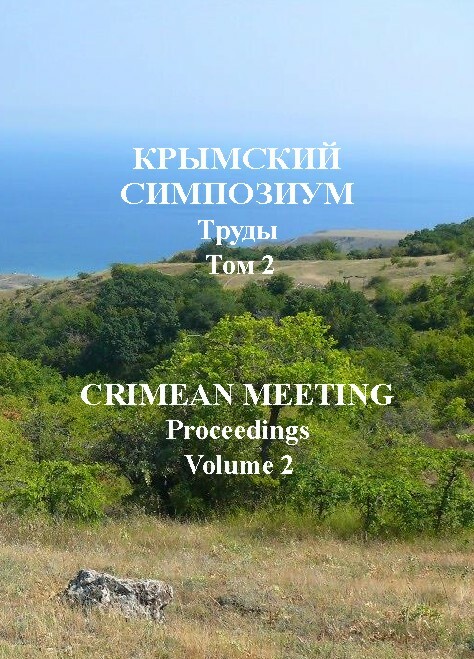 Crimean Meeting: «Modern Problems of Genetics, Radiobiology, Radioecology and Evolution», Third Intern. Conf., dedicated to N. W. Timofeeff-Ressovsky; Third Readings after V. I. Korogodin & V. A. Shevchenko; «Radiobiological Issues Pertaining to Environmental Security and Ecoterrorism», NATO Advanced Research Workshop. Alushta, Ukraine, 9-14 Oct. 2010 г. 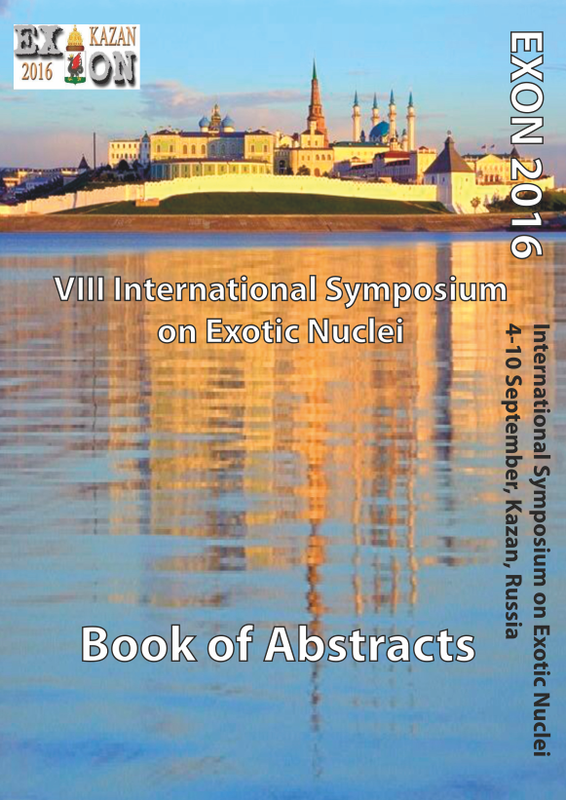 The collection contains papers presented at the Crimean meeting on the modern genetics, radiobiology, radioecology, and evolution. The second volume contains papers on ecology, radioecology, and evolution. The brief stories about famous scientists-biologists are also presented. The papers are published in the authors' wording. The pictures of famous scientists are presented. The book is of interest for wide readership. Dubna: JINR, 2012. — V.2 - 293 p.,  p. photos. 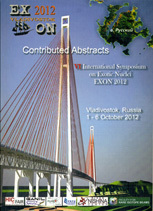 The collection contains papers presented at the Crimean Meeting (Alushta, 9-14 October 2010). Volume 1 includes original articles on modern genetics and radiobiology. The papers are published in the authors' wording. Dubna: JINR, 2012. — V.1 - 377 p.,  p. photos. Dubna: JINR, 2012. — 117 p.
Dubna: JINR, 2012. 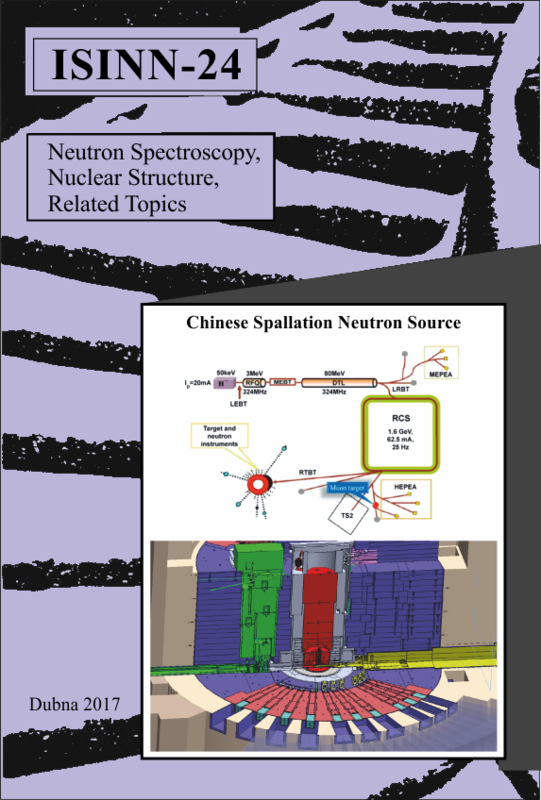 - 105 p.
This collection of papers reflects the current status of neutron-aided investigations of the properties of the nucleus, including fundamental symmetries, properties of the neutron itself, neutron-excited reactions, and the parameters of the nucleus that determine the reaction cross section, as well as the latest theoretical development of all these problems. The works on experimental investigations in the physics of nuclear fission by neutrons of various energies are presented in great detail. The state of the art of experiments on the physics of ultracold neutrons and facilities to obtain them is described at length. The status achieved by now of the most up-to-date (from the viewpoint of technique) experiments and environment studies are covered as well. Dubna: JINR, 2012. — 402 p.
Dubna: JINR, 2012. — 94 p.
The Bibliographic Index is an annual issue of papers published by JINR staff members. Part LI includes materials published in 2011. Dubna: JINR, 2012. — 234 p.
Dubna: JINR, 2012. 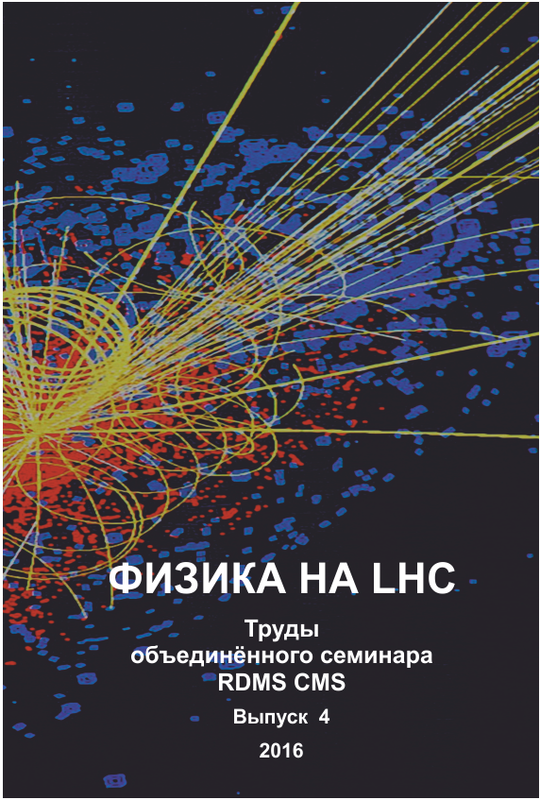 — 63 p.
The book of abstracts contains contibutions related to spin phenomena in the particle and nuclear physics as well as those in related fields. Dubna: JINR, 2012. - 195 p.
The collection includes contributions presented at the XIV Advanced Research Workshop on High Energy Spin Physics (DSPIN-11), Dubna, September 20-24, 2011, on different theoretical, experimental and technical aspects of this branch of physics. Dubna: JINR, 2012. - 412 p.
Dubna: JINR, 2012. — 34 p.
Dubna: JINR, 2012. - 71 p.
Dubna: JINR, 2012. - 419 p.
Book of Abstr. of the 5th Intern. Conf. 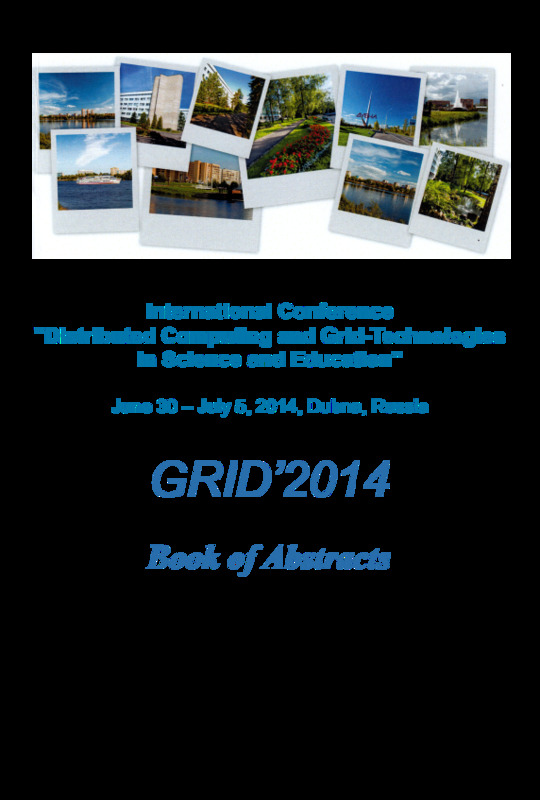 The book includes abstracts of the reports submitted to the 5th International Conference «Distributed Computing and Grid-Technologies in Science and Education» (GRID2012). 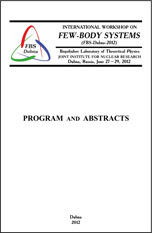 The Conference is held every two years by the JINR Laboratory of Information Technologies. The Conference is a unique one conducted in Russia on the issues relating to the use of Grid-technologies in various areas of science, education, industry and business. The tentative timetable of this conference foresees in-depth analysis of hot topics such as the development of the global grid-infrastructure providing the optimal use of computing and data storage resources through national grid-infrastructures (National Grid Initiatives, NGIs) as well as the development of the Russian Grid Network. Special sections will be devoted to the emerging direction of the cloud computing and the desktop grids. Full texts of the reports selected by the Programme Committee of the Conference will be published separately. Dubna: JINR, 2012. - 183 p.
Dubna: JINR, 2012. 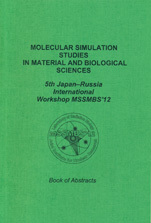 - 129 p.
The series of meetings «Molecular Simulation Studies in Material and Biological Sciences» (MSSMBS) are being held at JINR in 2004-2012 years. These meetings are focused on different aspects of molecular simulation of physical, chemical and biological systems. MSSMBS is mostly contributed by leading research groups of Japan and Russia (JINR, Lomonosov MSU) and is also participated by USA, Canadian, European Institutes. Dubna: JINR, 2012. 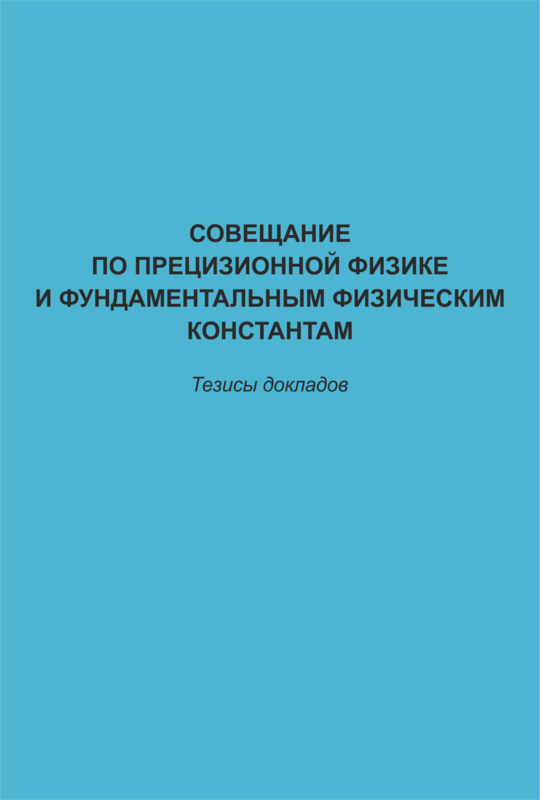 - 87 p.
The book includes the abstracts of lectures and reports submitted to the International Conference-School for Young Scientists «Modern Problems of Applied Mathematics & Computer Science». Full texts of the reports selected by the Organizing committee of the Conference-School will be published under separate cover. 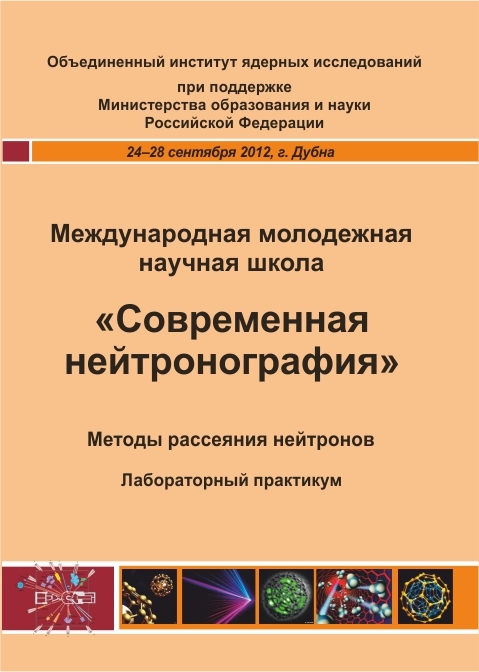 The Conference-School MPAMCS'2012 is supported by the Russian Foundation for Basic Research. Dubna: JINR, 2012. - 230 p.
Dubna: JINR, 2012. - 137 p.
Dubna: JINR, 2012. 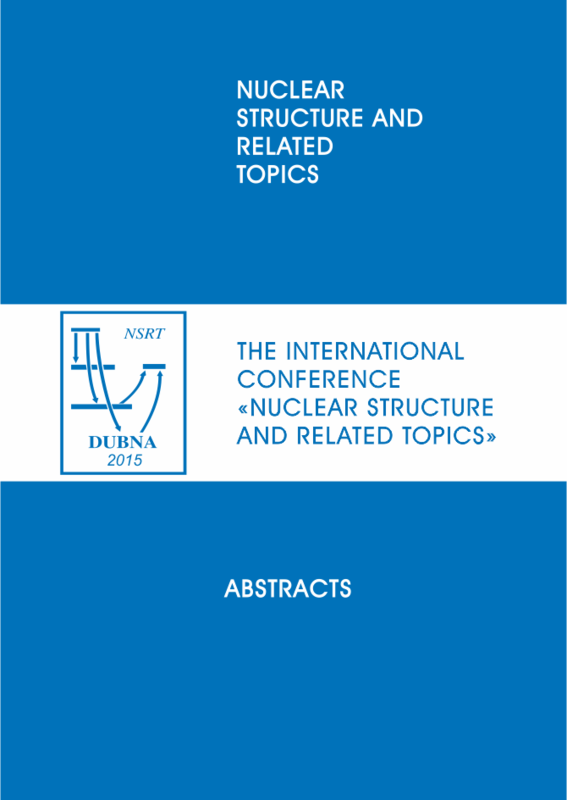 - 32 p.
The Proceedings of the XXIII International Symposium on Nuclear Electronics & Computing (NEC'2011) contain the papers presented at NEC'2011, which was held on 12-19 September 2011 (Varna, Bulgaria). The Symposium was organized by the Joint Institute for Nuclear Research (Dubna), the European Organization for Nuclear Research (CERN) (Geneva) and the Institute for Nuclear Research and Nuclear Energy of the Bulgarian Academy of Sciences (Sofia). It was devoted to the problems of detector & nuclear electronics, computer applications for measurement and control in scientific research, triggering and data acquisition, methods of experimental data analysis, computing & information systems, computer networks for scientific research, and GRID computing. Dubna: JINR, 2011. - 313 p.
The present book consists of contributions directed to the analysis of first- and second-order phase transitions from both experimental and theoretical points of view. 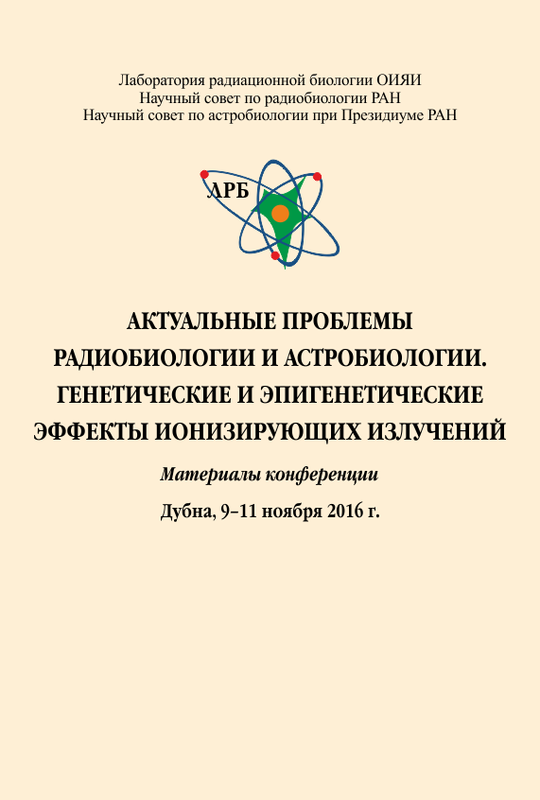 They have been presented and discussed in the course of the research workshops «Nucleation Theory and Applications» organized at the Bogoliubov Laboratory of Theoretical Physics of the Joint Institute for Nuclear Research in Dubna, Russia, in the period from 2009 to 2011. The volume of the proceedings supplements results published in three former conference proceedings in the years 1999, 2002, 2005 and 2009 also in Dubna and two monographs with overview lectures published by WILEY-VCH in 1999 and 2005 as well as in a series of monographs by the participants. In the present proceedings, the spectrum of different topics includes experimental investigations of thermodynamic properties of matter (in thermodynamic equilibrium and non-equilibrium states including glasses), nucleation-growth phenomena and their theoretical interpretation, the theoretical analysis of the course of first- and second-order phase transitions, the discussion of principal problems of the thermodynamic description of clusters, molecular-dynamic analyses of phase equilibria and clustering phenomena, and a variety of applications. Dubna: JINR, 2011. 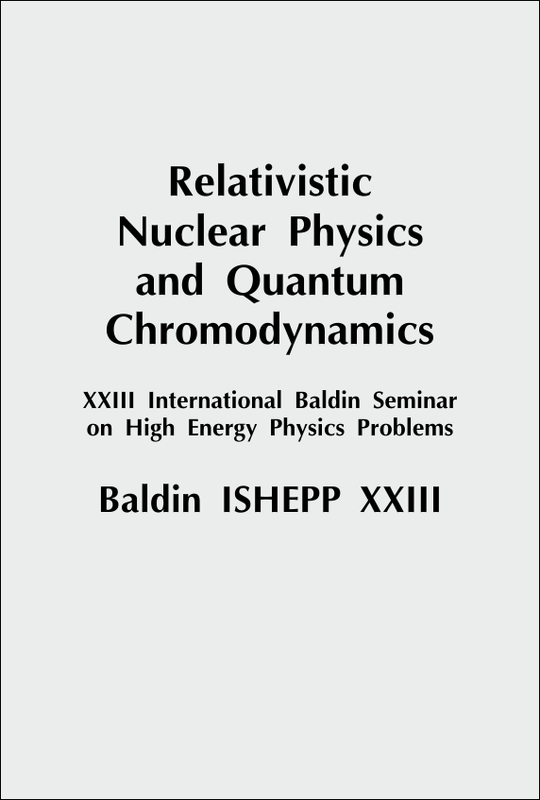 - XIII, 483 p.
The Proceedings present the invited talks given by leading scientists in the field of relativistic nuclear physics at the traditional International Baldin Seminar on High Energy Physics Problems «Relativistic Nuclear Physics and Quantum Chromodynamics». Dubna: JINR, 2011. - V. 1. - XV, 346 p.
Dubna: JINR, 2011. - V. 2. - XI, 324 p.
Dubna: JINR, 2011. 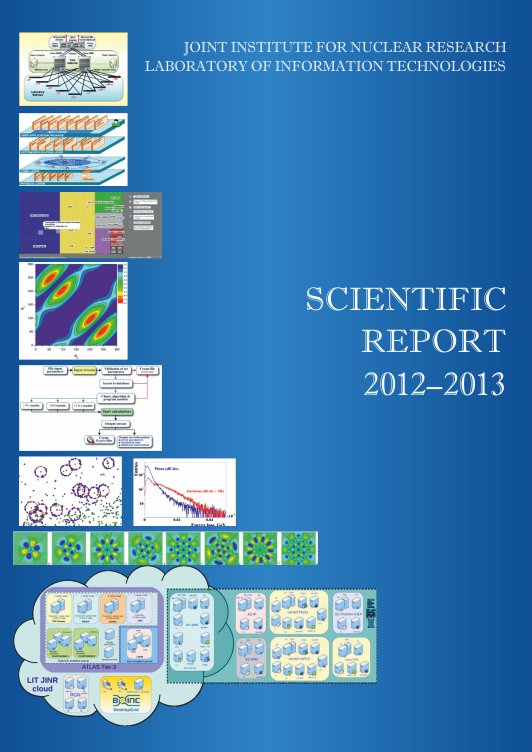 - 295 p.
Proceedings of Helmholtz International School and Workshop. The present book consists of contributions directed to the analysis of first- and second-order phase transitions from both experimental and theoretical points of view. They have been presented and discussed in the course of the research workshops «Nucleation Theory and Applications» organized at the Bogoliubov Laboratory of Theoretical Physics of the Joint Institute for Nuclear Research in Dubna, Russia, in the period from 2003 to 2005. The volume of the proceedings supplements results published in two former conference proceedings in the years 1999 and 2002 also in Dubna and two monographs with overview lectures published by WILEY-VCH in 1999 and 2005. In the present proceedings, the spectrum of different topics includes direct experimental investigations of thermodynamic properties of matter (in thermodynamic equilibrium and non-equilibrium states including glasses), nucleation-growth phenomena and their theoretical interpretation, the theoretical analysis of the course of first- and second-order phase transitions, the discussion of principal problems of the thermodynamic description of clusters, molecular-dynamic analyses of phase equilibria and clustering phenomena, and a variety of applications. Edited by J. W. P. Schmelzer, G. R pke, V. B. Priezzhev. Dubna: JINR, 2005. 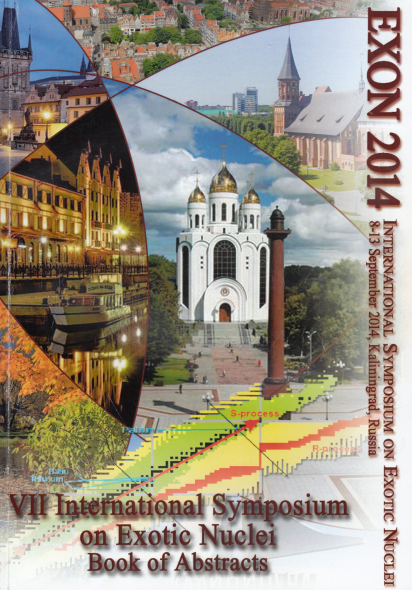 - 480 p.
Proceedings of the nternational Conference (Dubna, June 29 - July 2, 2004). 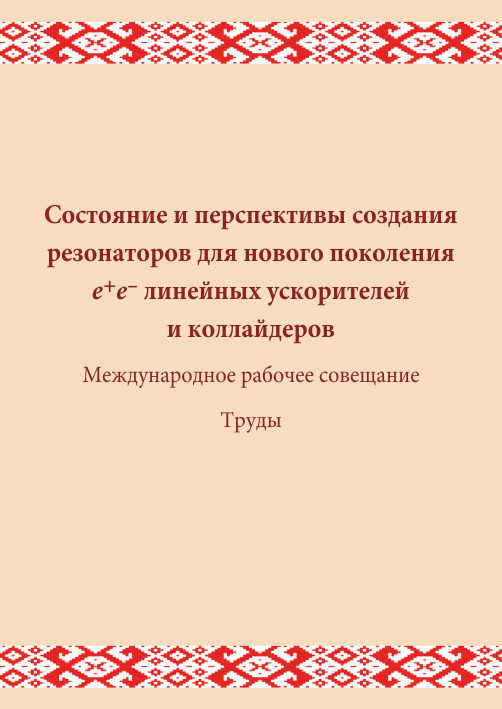 The Proceedings of the International Conference «Distributed Computing and Grid-Technologies in Science and Education» (Grid*2004) contain the reports presented at the Grid*2004 that was held from 29 June to 2 July in Dubna. The Conference was organized by the Laboratory of Information Technologies of the Joint Institute for Nuclear Research under the sponsorship of the Russian Foundation for Basic Research and the Russian branch of the Hewlett-Packard company. The Conference was the first in Russia dedicated to discussions of the problems related to using present-day Grid-technologies and distributed computing in all spheres of human activities. More than 200 scientists attended the Conference. Seventy nine reports were delivered on the issues of organizing Grid-infrastructures and developing tools for functioning such systems as well as on the questions of solving applied tasks with the help of the created structures. Dubna: JINR, 2004. - 295 p.
The proceedings contain lectures and surveys devoted to some hot questions in cosmology and stellar physics. Particularly, authors discuss the possibility and effects of phase transition into quark-gluon state in stars, the physics of neutron stars and black holes, development of turbulence in astrophysical processes. Dubna, September 27 - October 2, 2004. 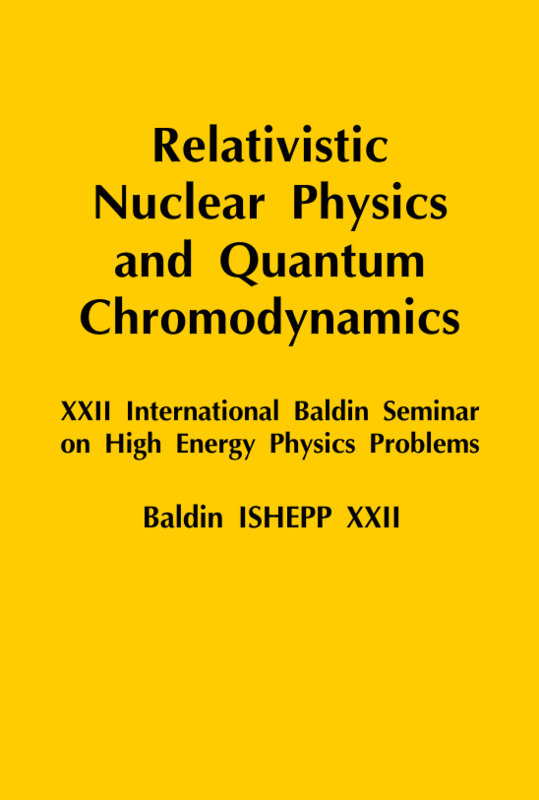 The Proceedings present the invited talks given by leading scientists in the field of relativistic nuclear physics at the traditional XVII International Baldin Seminar on High Energy Physics Problems «Relativistic Nuclear Physics and Quantum Chromodynamics». Dubna: JINR, 2005. - V. 1. - 390 p., photos. Dubna: JINR, 2005. - V. 2. - 377 p., photos. The 8th International Conference «Path Integrals. From Quantum Information to Cosmology» was held in Prague, Czech Republic, from 6 to 10June 2005. 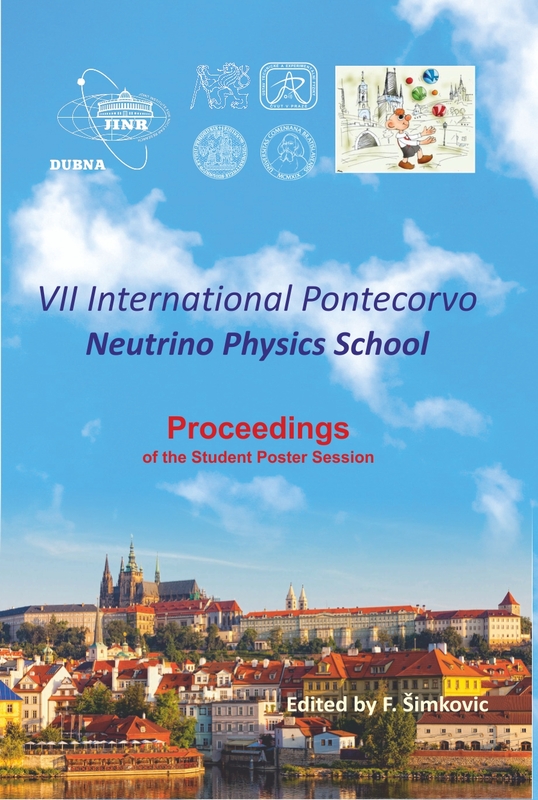 This conference was jointly organized by the Department of Mathematics, Faculty of Nuclear Sciences and Physical Engineering, Czech Technical University and by the Bogoliubov Laboratory of Theoretical Physics of the Joint Institute for Nuclear Research, Dubna, Russia. The 8th International Conference «Path Integrals. From Quantum Information to Cosmology» belongs to the series of conferences «Path Integrals from meV to MeV» devoted both to physical calculations and to the rigorous foundations of the method of path integrals. Previous meetings in this series were held in Albany, NY (1983), Biefeld (1985), Bangkok (1989), Tutzing (1992) and Dubna (1996). Two further meetings, in Florence (1998) and Antwerp (2002), took place under a different title. 75 scientists from all over the world attended the last conference «Path Integrals. From Quantum Information to Cosmology». 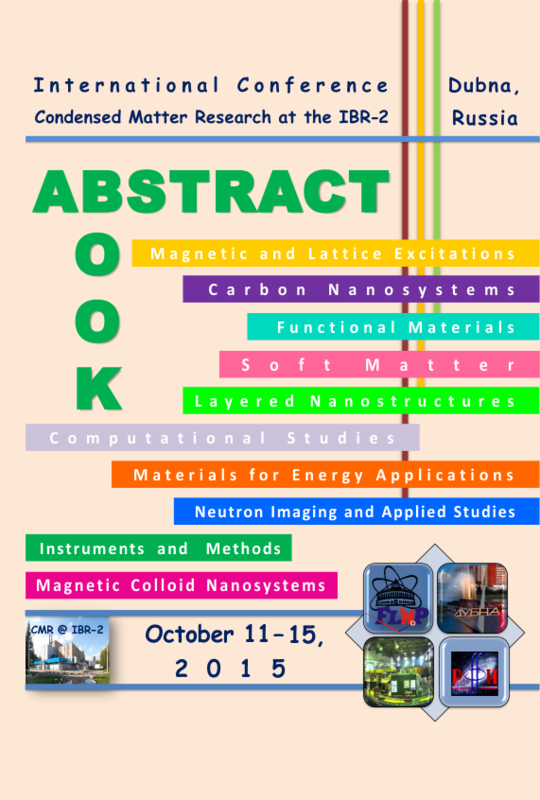 All contributions to these conferences are published in the conference proceedings. The XI International Conference on Symmetry Methods in Physics (SYMPHYS-11) was held in Prague, the Czech Republic, from 21 to 24 June 2004. It was organized by the Bogoliubov Laboratory of Theoretical Physics, the Doppler Institute, and the Czech Technical University (Prague) intheframework of the Blokhintsev–Votruba programme. A total of about 100 scientists from all over the world took part in the conference. The conference series was initiated by Professor Yakov A.Smorodinsky (1917–1992), anoutstanding theoretical physicist. Professor Smorodinsky organized the first five conferences that were held at the Institute of Physics and Power Engineering in Obninsk from 1986 to 1991. The next three conferences of the series were held at the Joint Institute for Nuclear Research inDubna in 1993, 1995 and 1997, while the last two took place at the Yerevan State University (Armenia) in 2001 and 2003. The SYMPHYS-11 conference is devoted to general studies and applications of group theoretical methods in modern physics. It covers fields ofresearch where symmetry-based methods play an important role. 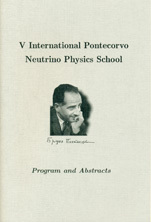 The programme included the following topics: symmetries of fundamental interactions; Lie groups, supergroups and nonlinear algebraic structures; symmetries of difference and differential equations; nonlinear systems andquantum chaos; quantum optics and coherent states; periodic and aperiodic structures. Dubna: JINR, 2004. 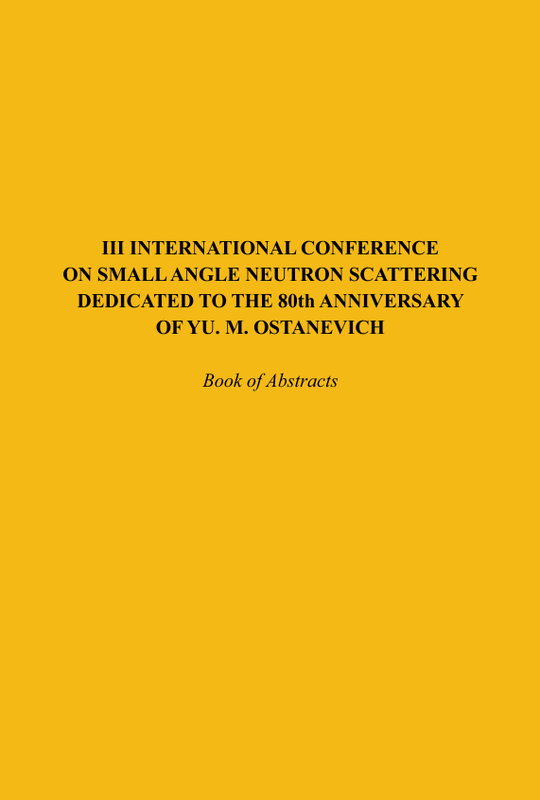 - 168 p.
Proceedings of the international seminar dedicated to the 75th birthday of Professor Nikolai A. Chernikov, Dubna, 25-27 February 2004. 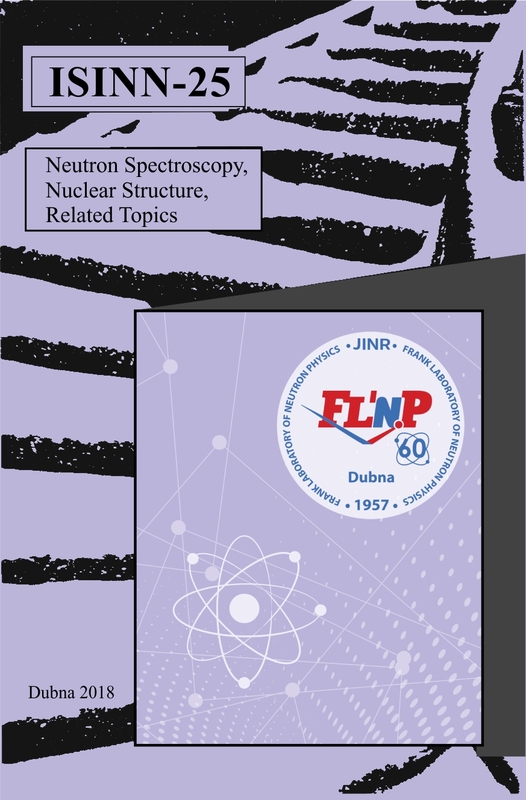 Dubna: JINR, 2004 - 206 p.
Proceedings of the XII Intern. Seminar on Interaction of Neutrons with Nuclei (Dubna, May 26-29, 2004). 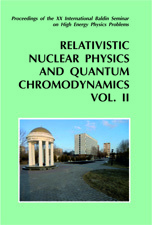 This collection of papers reflects the present state of neutron-aided investigations of the properies of the nucleus including fundamental symmetries, properties of the neutron itself, neutron-excited reactions and the parameters of the nucleus that determine the reaction cross section, as well as the latest theoretical developments of all these problems. The works on experimental investigations on the physics of fission by neutrons of various energies are presented in great detail. The present ctate of experiments on the physics of ultracold neutrons and facilities to obtain them are described at length. The status achieved by now of the newest (from the viewpoint of technique) experiments is covered as well. Dubna: JINR, 2004. 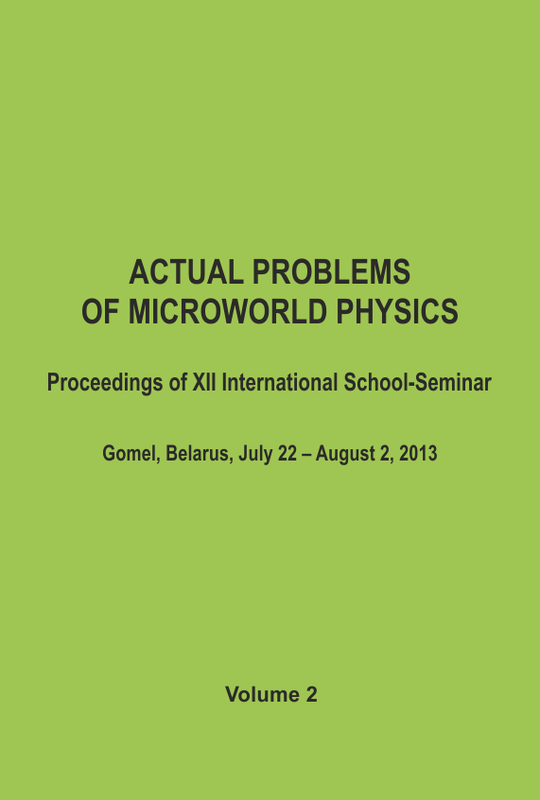 - 475 p.
The Proceedings contain the lectures and original reports which were presented at the International School-Seminar "Actual Problems of Microworld Physics", July 28-August 8, 2003, Gomel, Belarus. 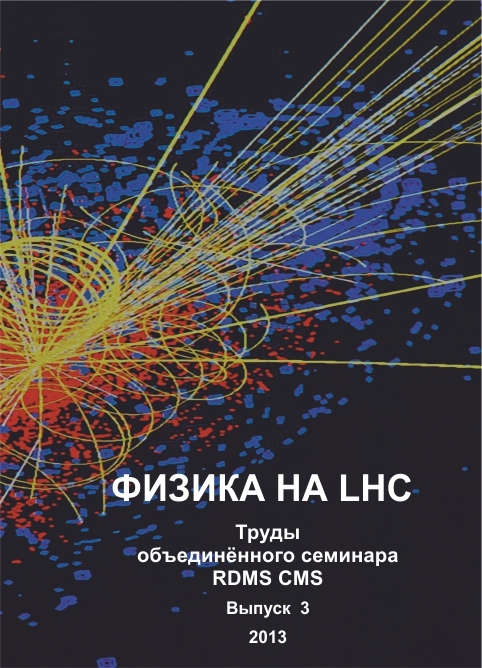 The main topics: status and recent experimental results from collaborations LEP, HERA, TEVATRON and others, non-accelerator physics, physics in and beyond the Standart Model, QCD, new methods in Quantum Field Theory, relativistic nuclear physics, phenomenological models, computational methods. Dubna: JINR, 2004. - V. 1. - 280 p.
Dubna: JINR, 2004. - V. 2. - 269 p.
Proc. of the Fourth Intern. Workshop (Alushta, Ukraine, June 1-4, 2003). 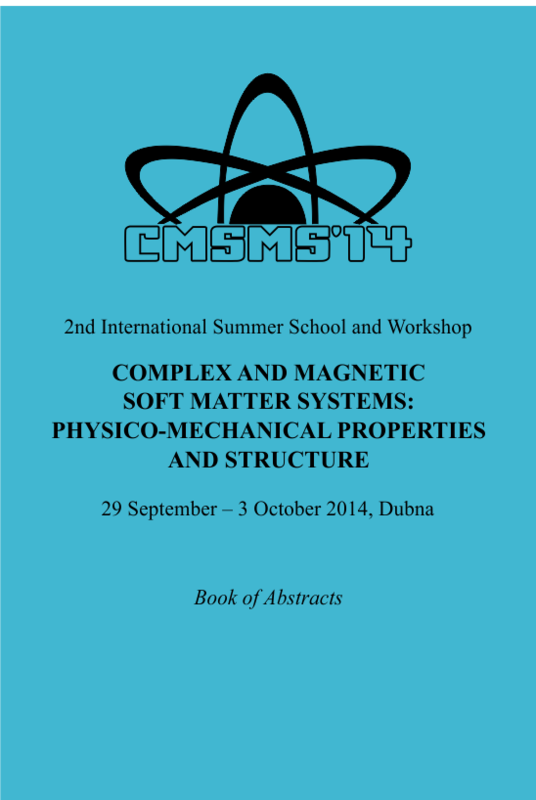 The Proceedings collect the reports given at the Fourth International Workshop on Very High Multiplicity Physics. These include discussion of original investigations dedicated to the phenomenology of high multiplicity processes, multiperipheral models, perturbative QCD predictions, low-x physics, fractal analysis, statistical physics approaches, collective phenomena and perspectives of VHM experimental investigation. Dubna: JINR, 2004. - 240 p.
The Proceedings present the invited talks given by leading scientists in the field of relativistic nuclear physics at the traditional XVI International Baldin Seminar oon High Energy Physics Problems "Relativistic Nuclear Physics and Quantum Chtomodynamics" (Dubna, June 10-15, 2002). Dubna: JINR, 2004. - V. 2. 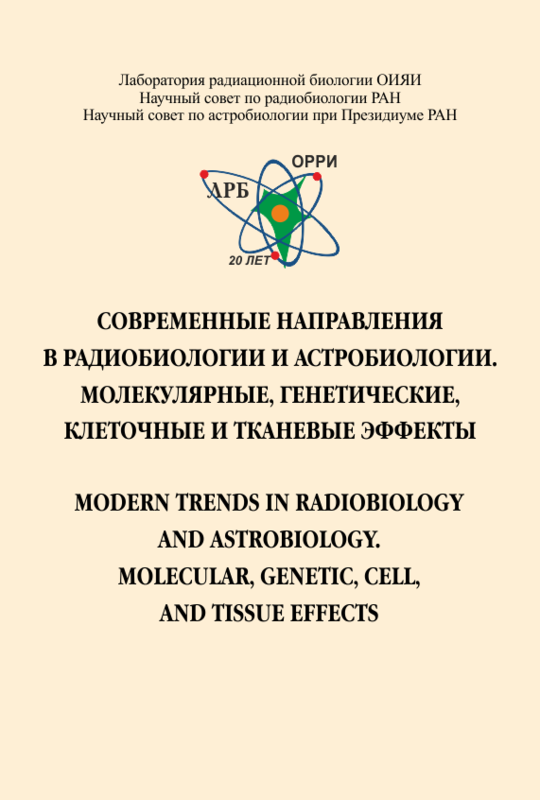 - 305 p.
The collection includes the lectures and the students' reports presented at the Second International Student School "Nuclear Physics Methods and Accelerators in Biology and Madicine" held in Poznan (Poland) on June 19-30, 2003. Dubna: JINR, 2004. - 93 p.
Всероссийская научно-практ. конф. ; Избранные вопросы ядерной медицины. В настоящий сборник включены тезисы устных докладов, а также постерных сообщений. Авторы тезисов - ведущие специалисты в области ядерной медицины, а также сотрудничающие с ними специалисты смежных областей. Для врачей-радиологов, радиофармацевтов, медицинских физиков. Дубна: ОИЯИ, 2004 - 330 с. 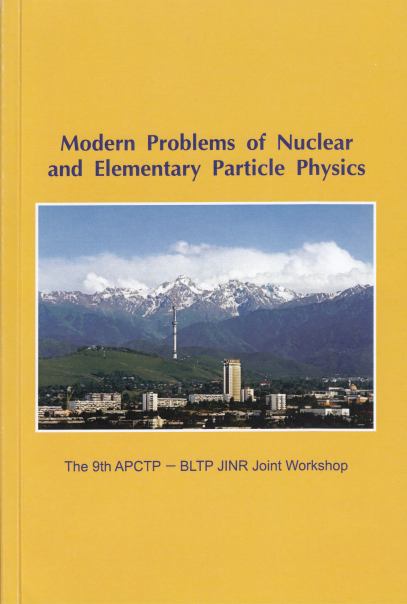 The collection includes contributions presented at the X NATO Advanced Research Workshop on High Energy Spin Physics (NATO ARW DUBNA-SPIN-03) ( Dubna, September 16-20, 2003) on different theoretical, experimental and technical aspects of this branch of physics. Dedicated to the memory of Vernon Hughes (1921 - 2003) and Lev Dmitrievich Soloviev (1934 - 2003). Dubna: JINR, 2004. 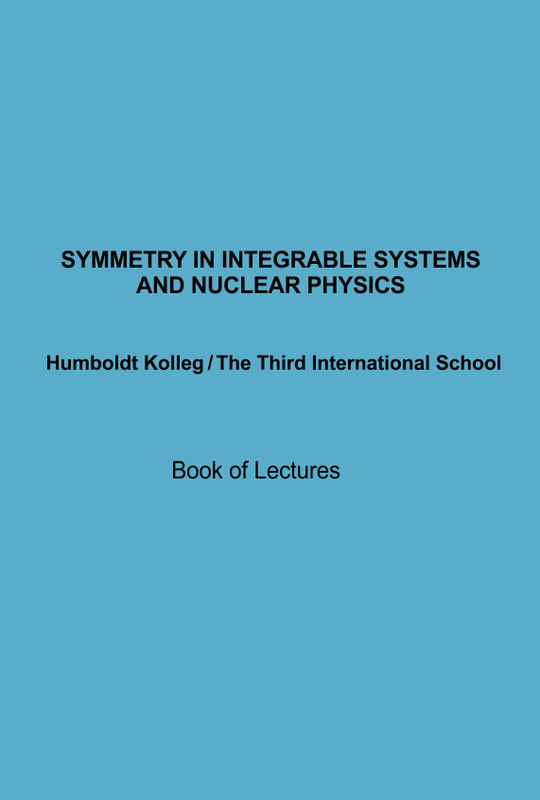 - 499 p.
The proceedings include tables given at the International Workshop "Supersymmetries and Quantum Symmetries 2003" (SQS'03) was held on 24-29 July 2003 in Dubna, Russia. Dubna: JINR, 2004. - 439 p.
Proceedings of the XI Intern. 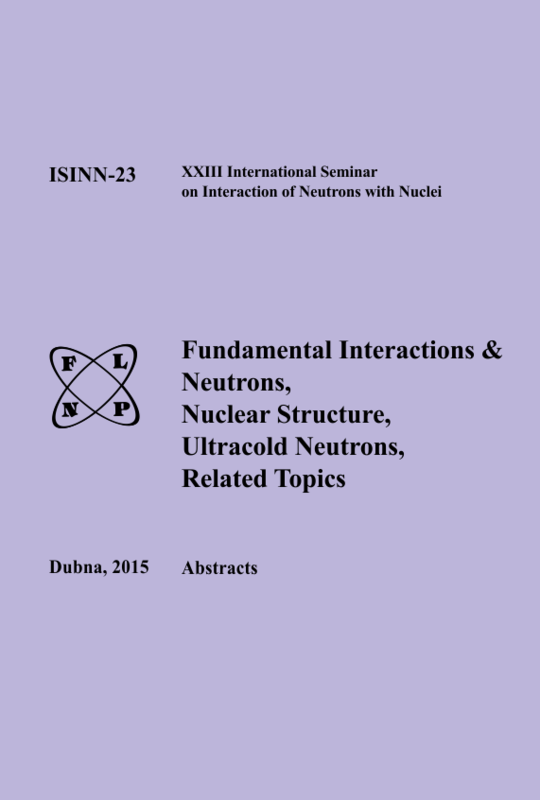 Seminar on Interaction of Neutrons with Nuclei (Dubna, May 28-31, 2003). 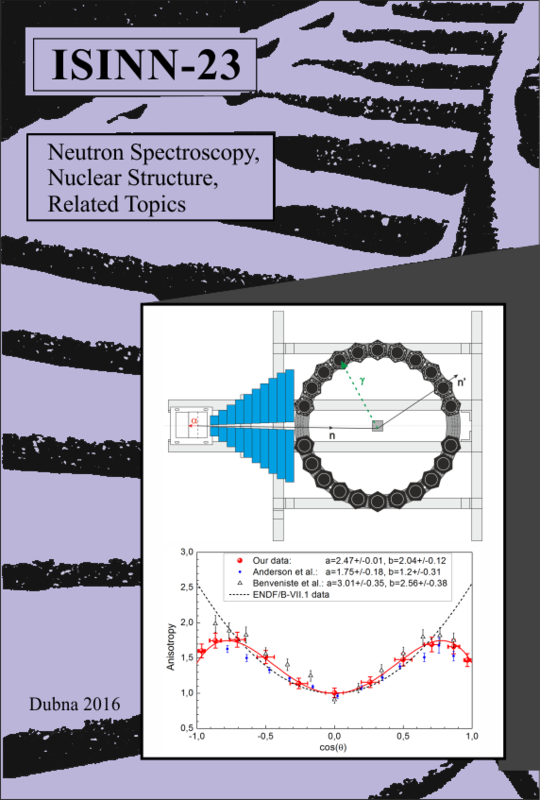 This collection of papers reflects the present state of neutron-aided investigations of the properies of the nucleus including fundamental symmetries, properties of the neutron itself, neutron-excited reactions and the parameters of the nucleus that determine the reaction cross section, as well as the latest theoretical developments of all these problems. Experimental investigations on the physics of fission by neutrons of various energies are presented in great detail. The present ctate of experiments on the physics of ultracold neutrons and facilities to obtain them are described at length. Dubna: JINR, 2004. 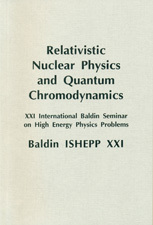 - 316 p.
The collection of papers includes the talks given at the XII International Conference on Selected Problems of Modern Physics, dedicated to the 95th anniversary of the birth of D. I. Blokhinsev (1908 - 1979), the organizer and first director of the Joint Institute for Nuclear Research. 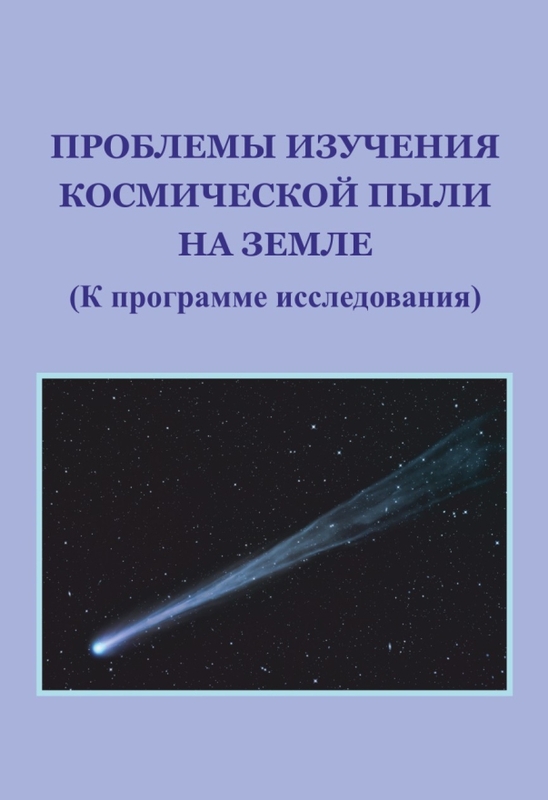 This Collection contains the papers reflecting scientific interests of Dmitrii Ivanovich and reminiscences of some theorists of the impotant events of his many-sides activity. 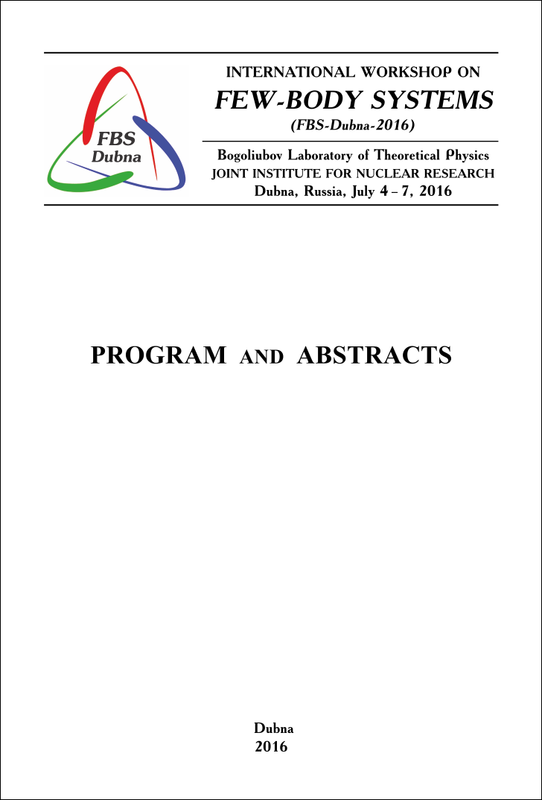 Programme and abstracts of the XII International Conference on Selected Problems of Modern Physics, dedicated to the 95th anniversary of the birth of D. I. Blokhintsev (1908-1979), Dubna, June 8-11, 2003. Section II "Physical Investigations at Pulsed Reactors". Dubna: JINR, 2003. 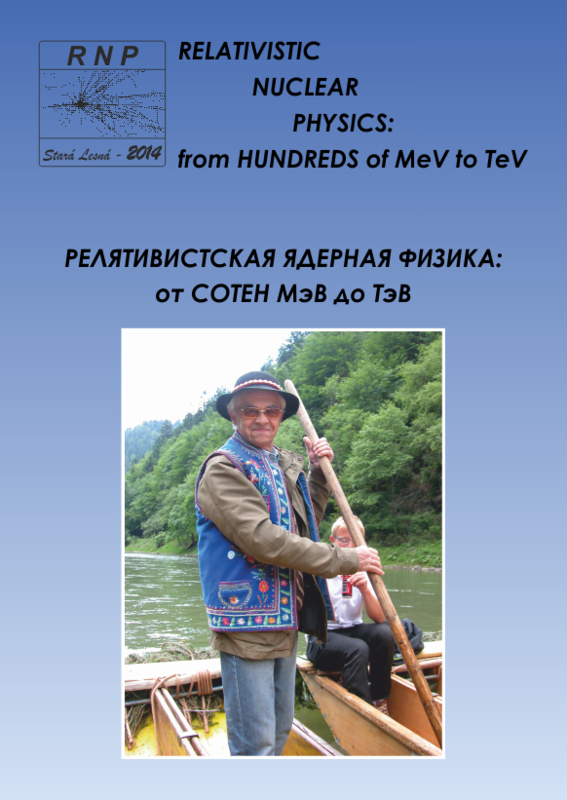 - 245 p.
This volume is published in honor of Vladimir B. Belyaev, Principal researcher of the JINR Bogoliubov Laboratory of Theoretical Physics, on the occasion of his 70th birthday. The volume includes 16 review or original research papers devoted to a number of topical problems in astrophysics, theoretical nuclear physics, and theory of few-body systems. 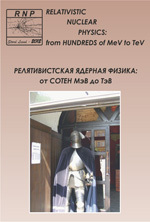 The volume also includes autobiographic notes by V. B. Belyaev and a series of photographs from his private collection. Dubna: JINR, 2003. - 167 p.; 17 p. photos. on Neutron Physics for Investigations of Nuclei, Condensed Matter and Life Sciences. Baia Mare, Romania, 1-7 July, 2002: Proceedings. Dubna: JINR, 2003. - 88 p.: ill. Proceedings of the X Intern. Seminar on Interaction of Neutrons with Nuclei. 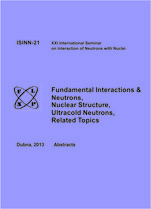 This collection of papers reflects the present state of neutron-aided investigations of the properties of the nucleus, including fundamental symmetries, properties of the neutron itself, neutron-excited reactions and the parameters of the nucleus that determine the reaction cross section, as well as recent theoretical developments of the above-mentioned problems. A detailed review of works on all the aspects connected with the nucleus fission physics is given. An up-to-date description of experiments on ultracold neutrons and installations is delivered. Dubna: JINR, 2003. - 484 p.